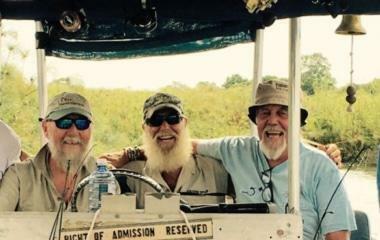 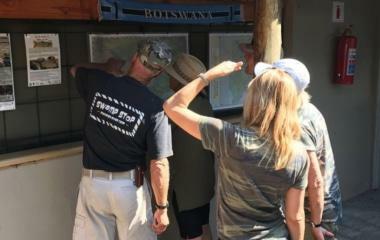 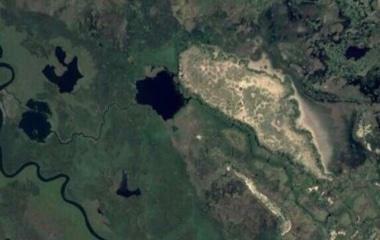 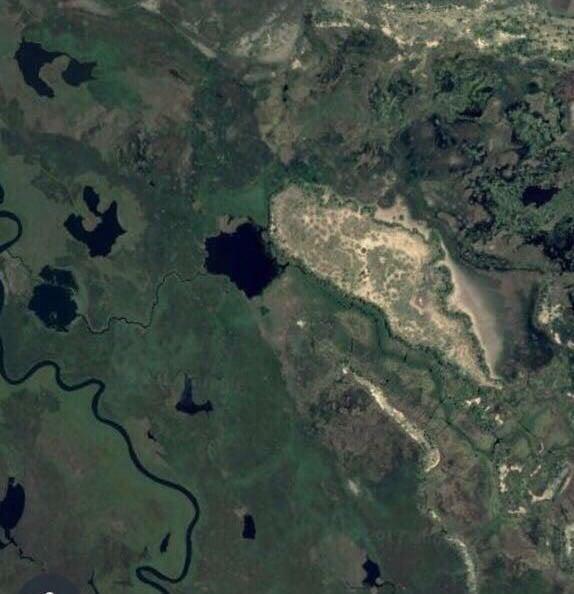 Swamp Stop dates back to the late 1960's where legendary crocodile Hunter Bobby Wilmot had his northern hunting camp. 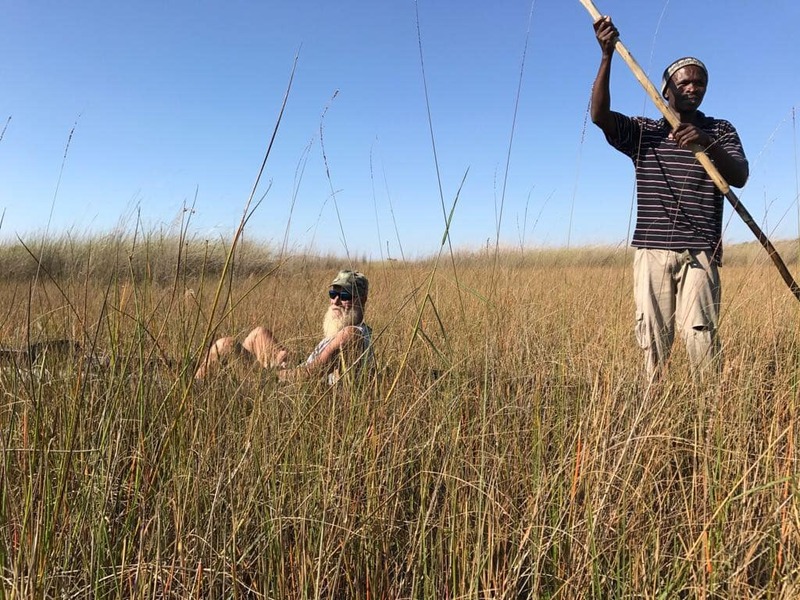 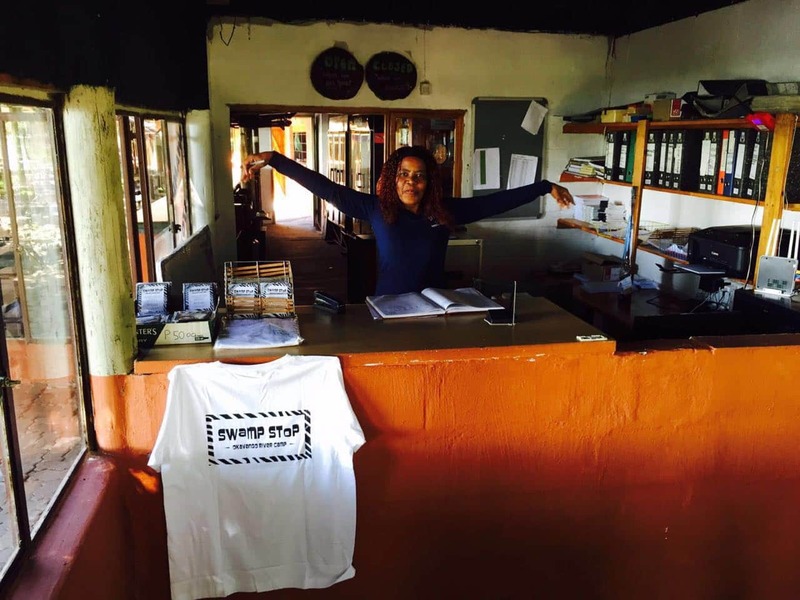 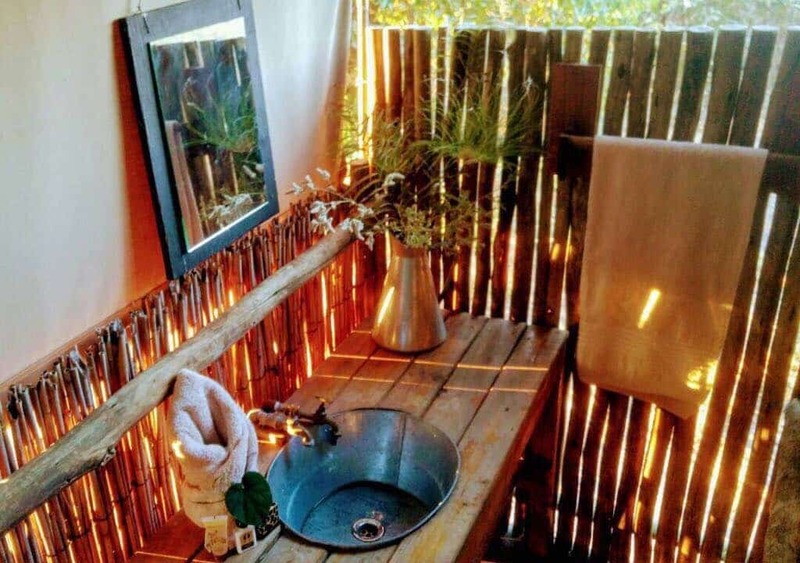 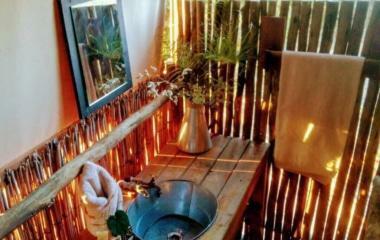 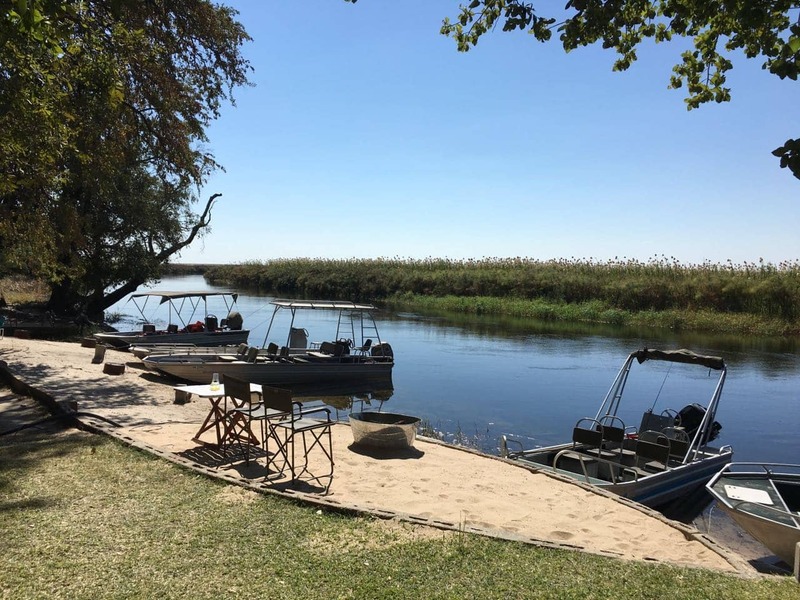 The legendary Swamp Stop River Camp is located on the Okavango River, in the Okavango Panhandle 50km South of the Namibian Border, near the village of Sepopa. 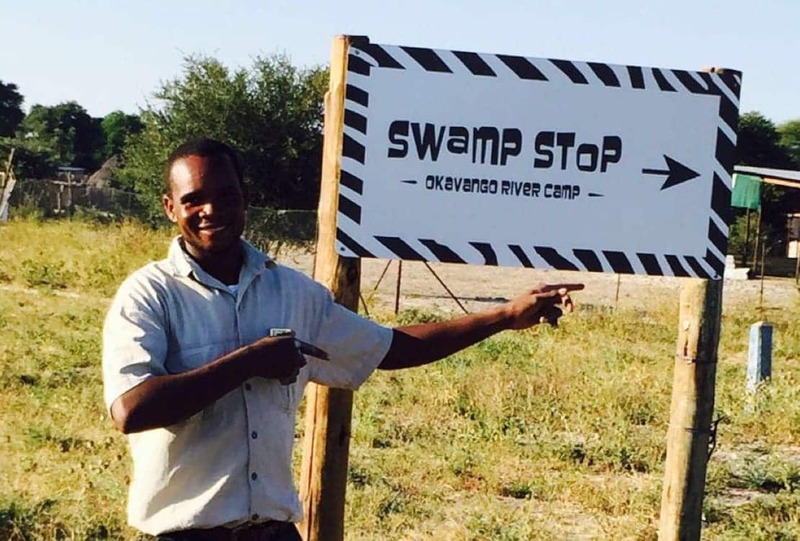 Swamp Stop is the perfect gateway for self-drive adventure travelers seeking to experience the best of the Okavango at an affordable price. 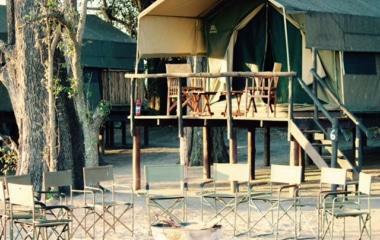 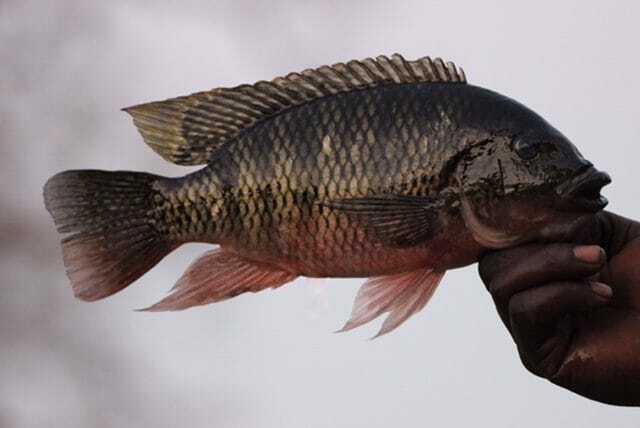 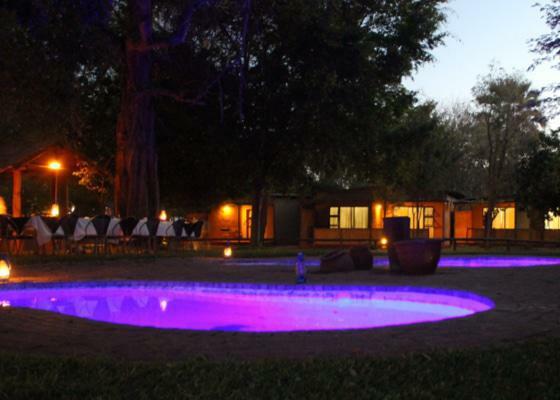 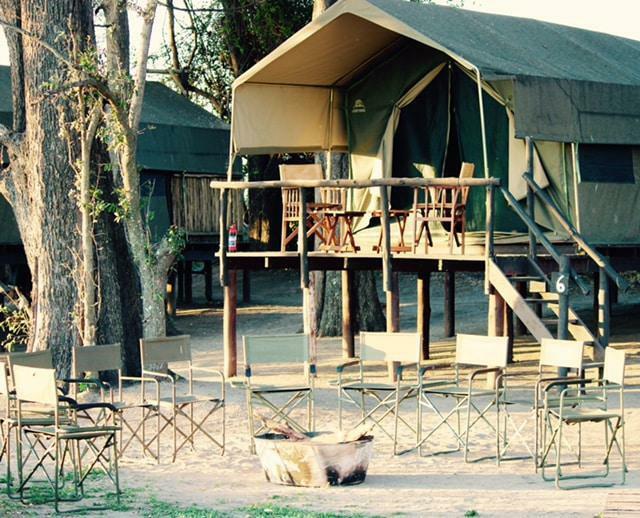 The camp is easily accessible from Maun by road and no 4 X 4 is required. 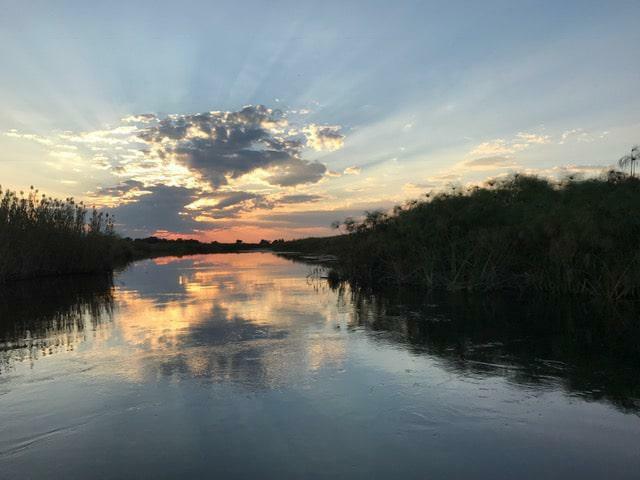 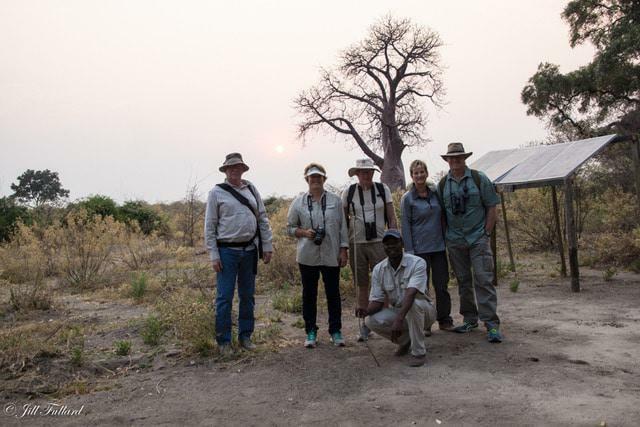 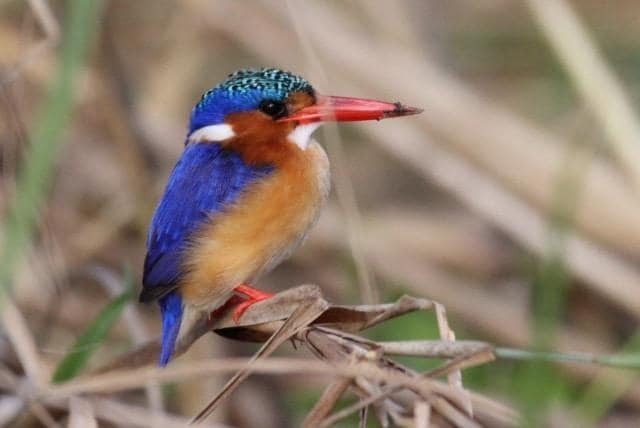 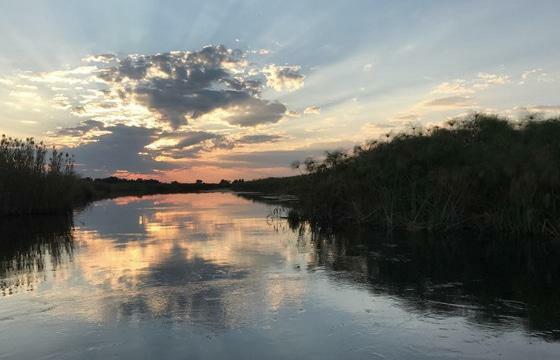 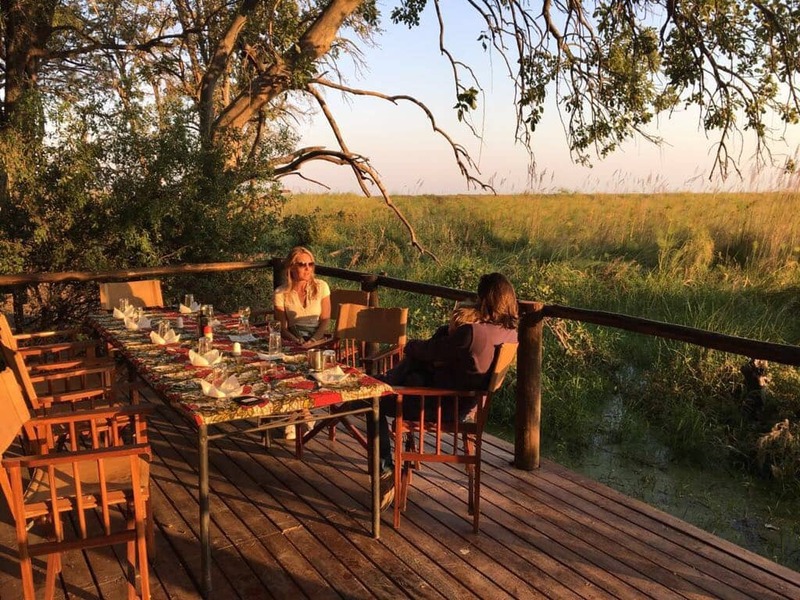 Guests can enjoy a wide range of classic Okavango experiences including Makoros, day boating and birding adventures, where guests experience the incredible bird life of the Okavango, and guided camping safaris into the Delta. 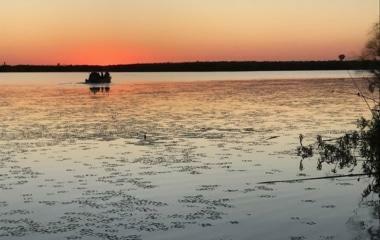 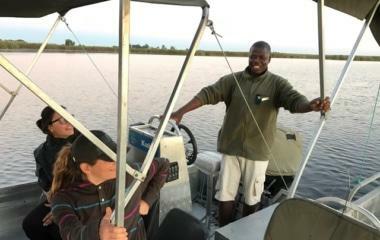 Sunset cruises, guided island walks and guided River safaris are all offered. 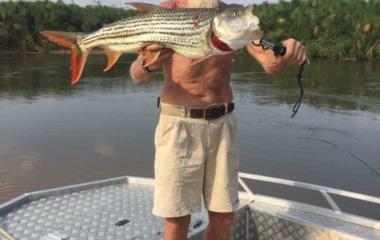 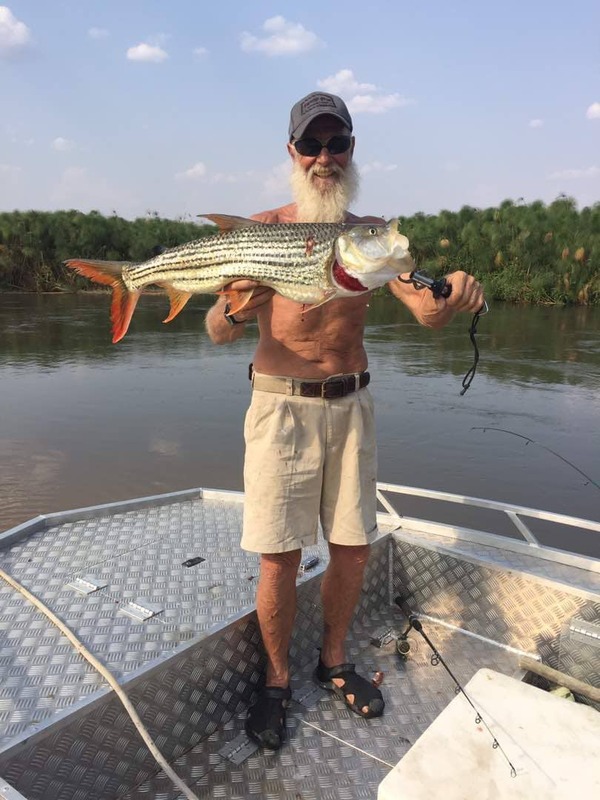 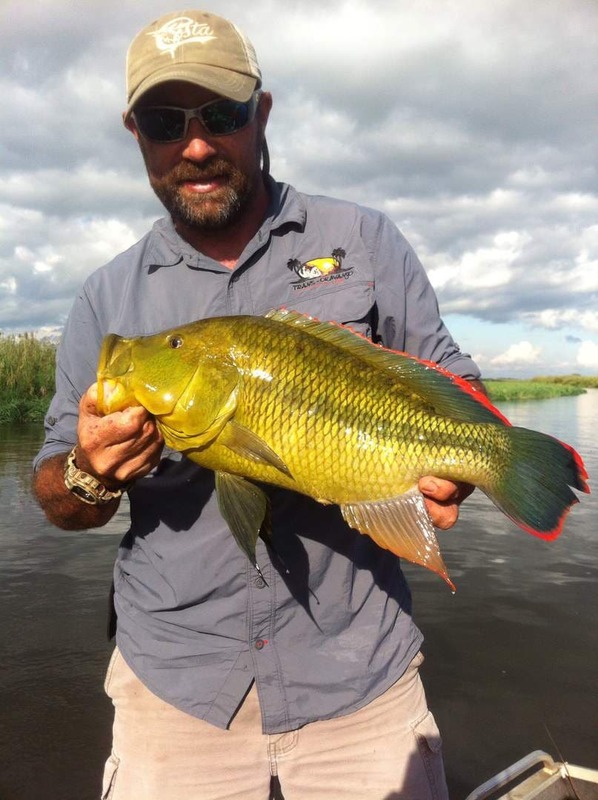 Guests can also enjoy fishing safaris where the tiger fishing is unsurpassed during the Barbel Run season. 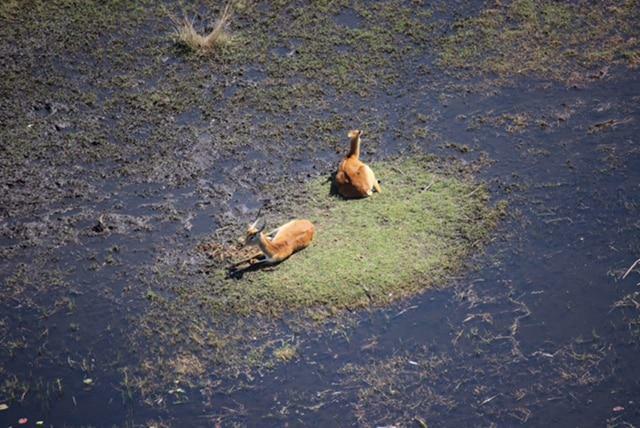 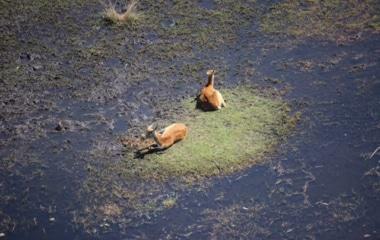 We also offer Helicopter Game flights for guests to experience the best of the Delta from the air. 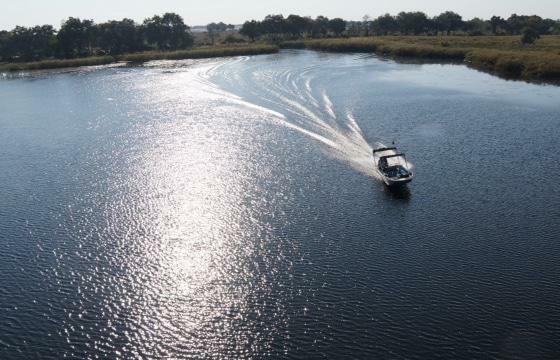 We offer boats for hire on an hourly, half day and full day basis. 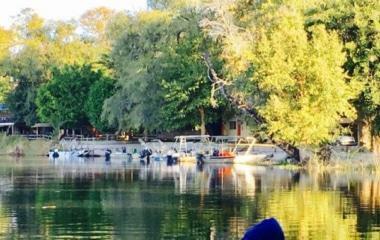 We also offer boat storage and boat launch facilities for guests who bring their own boats. 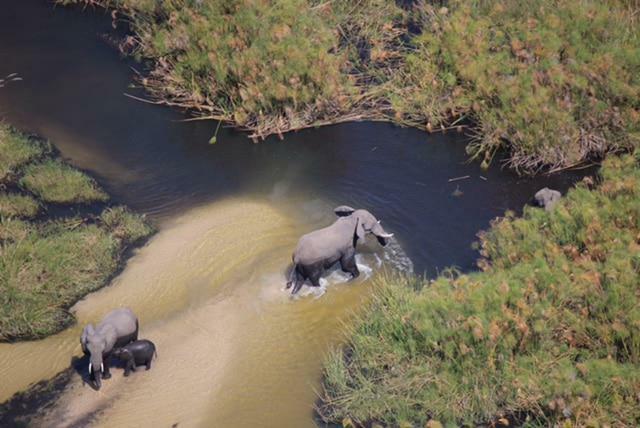 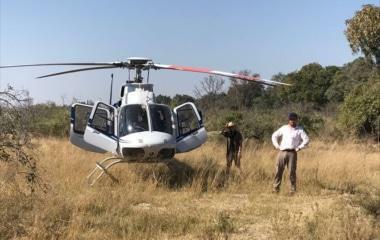 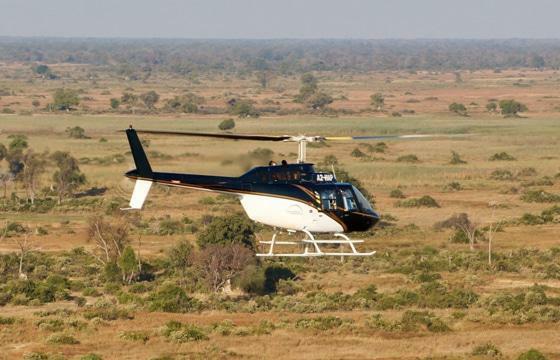 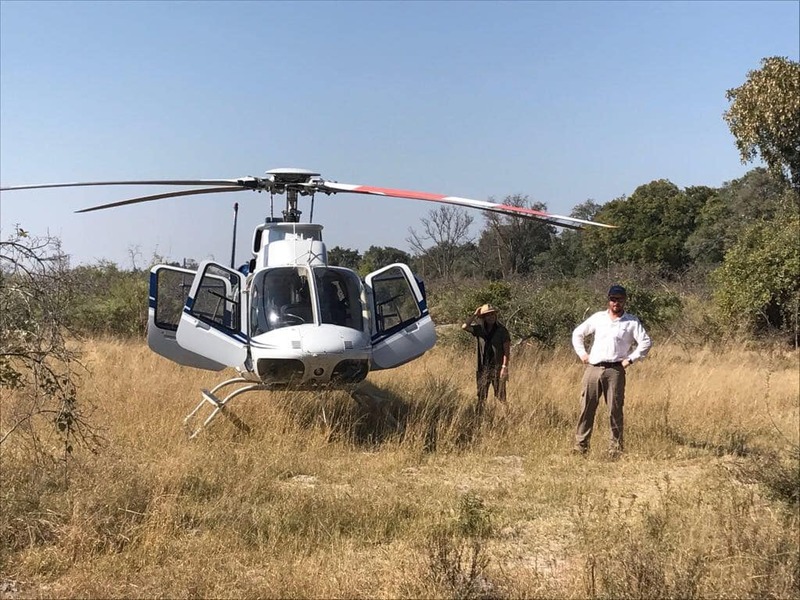 In association with Helicopter Horizons, guests can enjoy scenic game flights right from the camp. 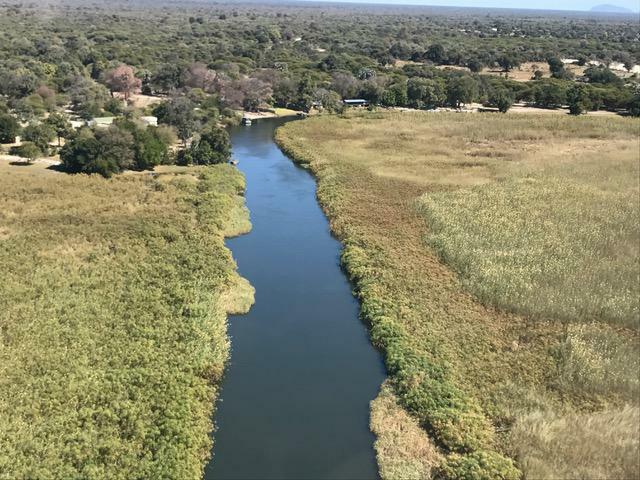 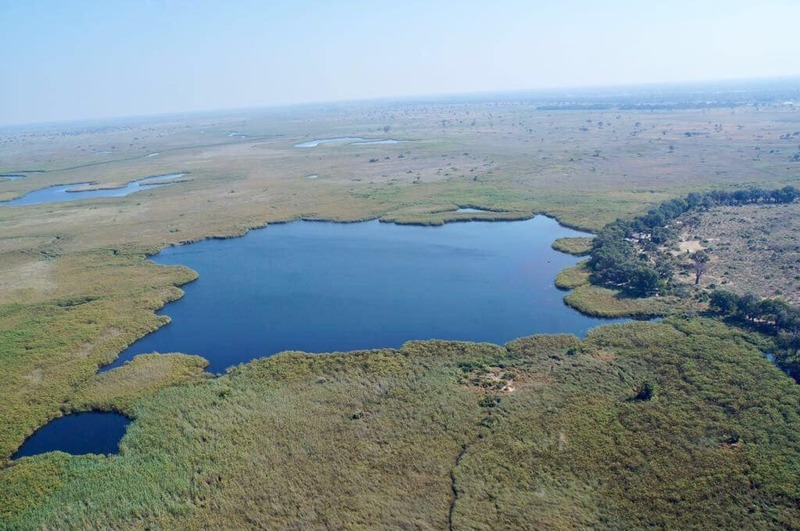 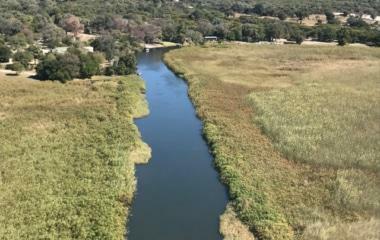 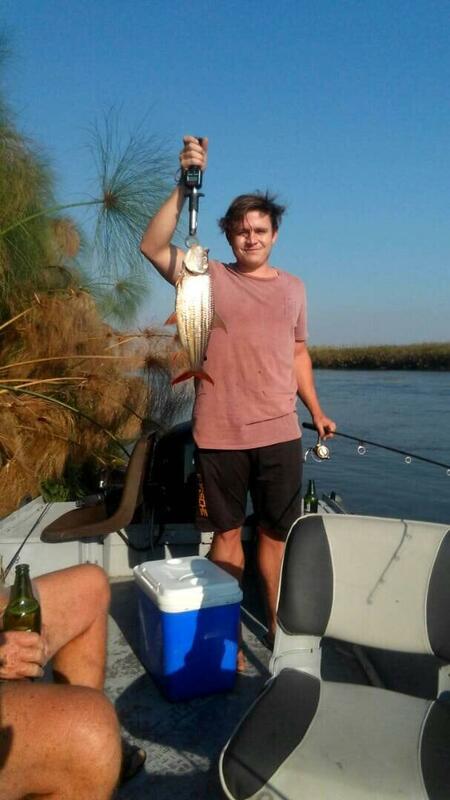 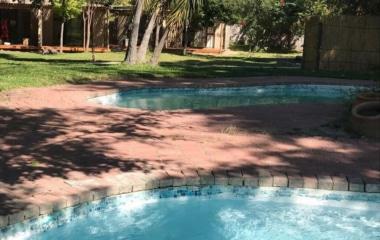 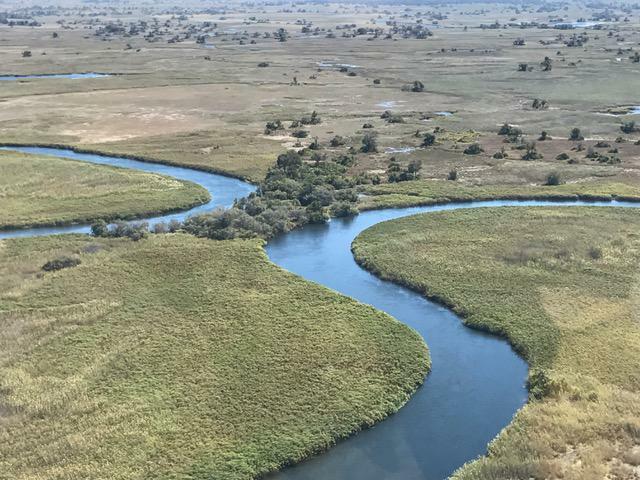 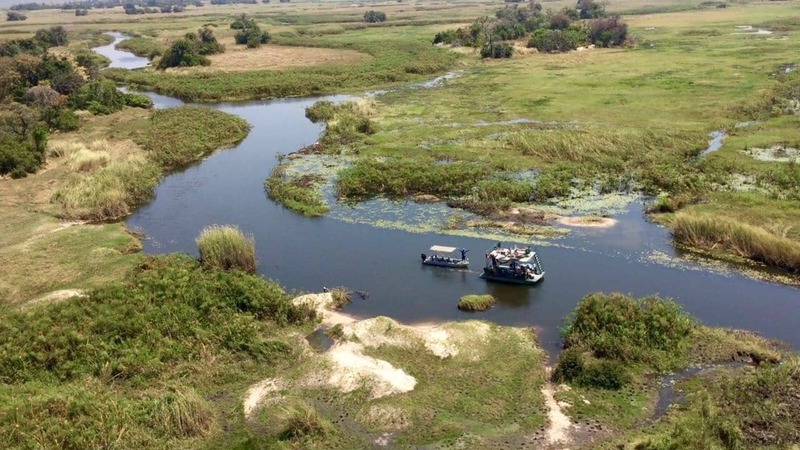 Explore the scenic beauty of the Panhandle, the Nxamaseri Back Channels, the northern Okavango including Vumbura and the game rich expanses of the Duba Plains. 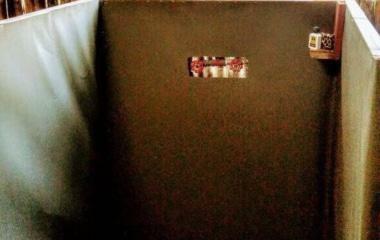 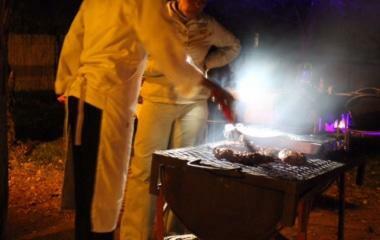 Guests can pre-arrange a packed lunch and champagne cold box to add theatre to a great outing. 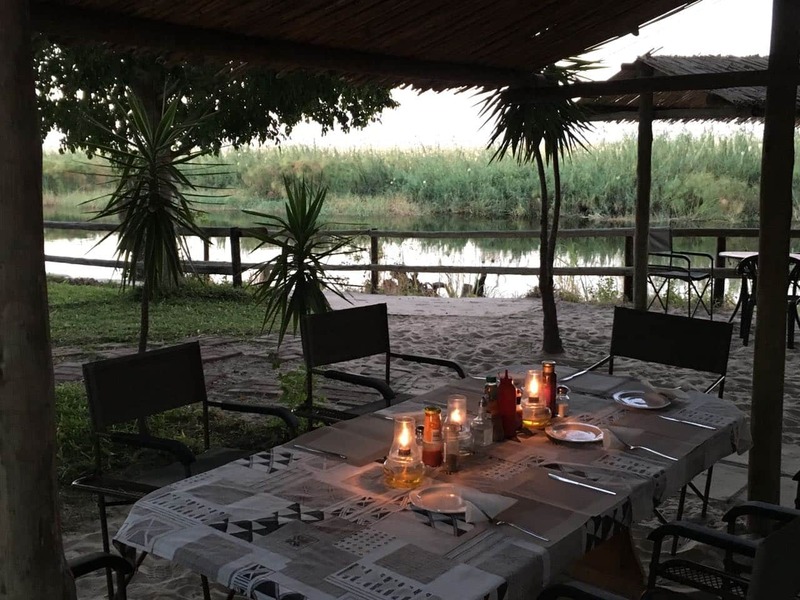 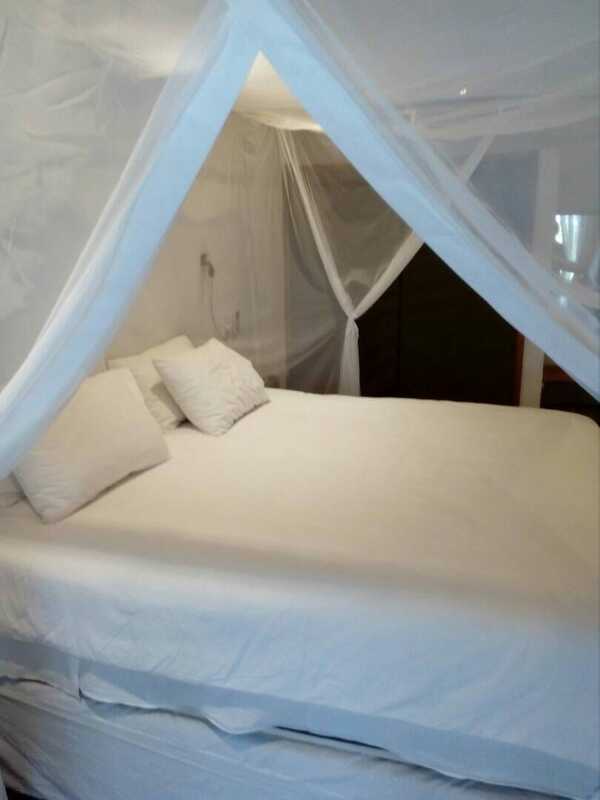 Guests can also book to stay at Pepere Island Tented Camp which is located deep in the delta on a remote island set on the Pepere Lagoon. 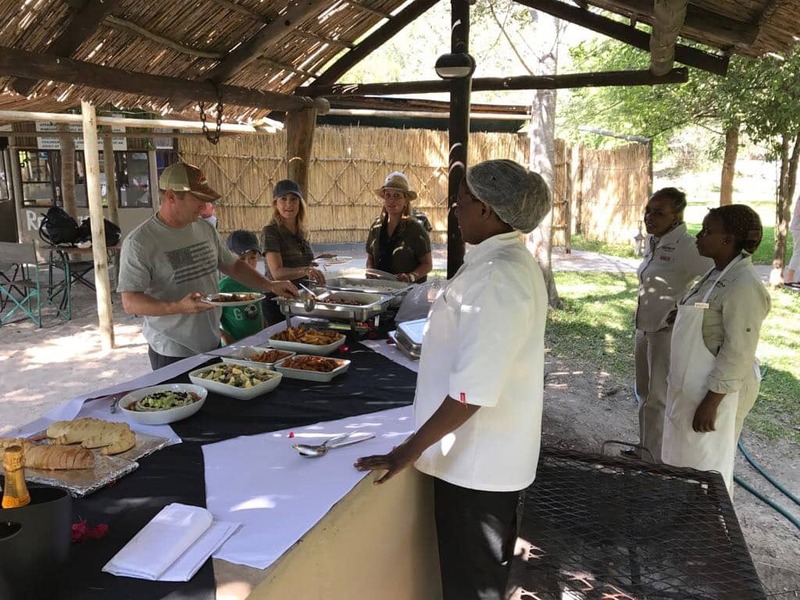 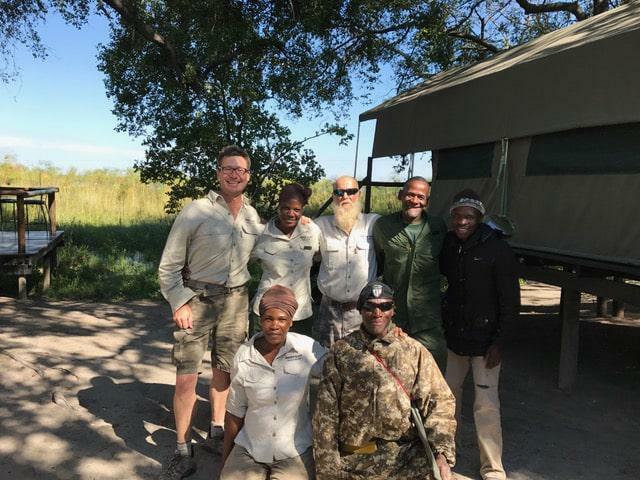 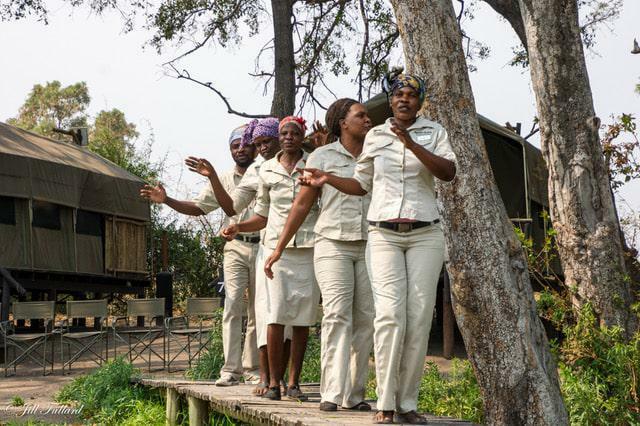 Guests can enjoy guided game walks, Makoro excursions, helicopter game flights and stay in ensuite mini Meru style tents that are classic and original Okavango. 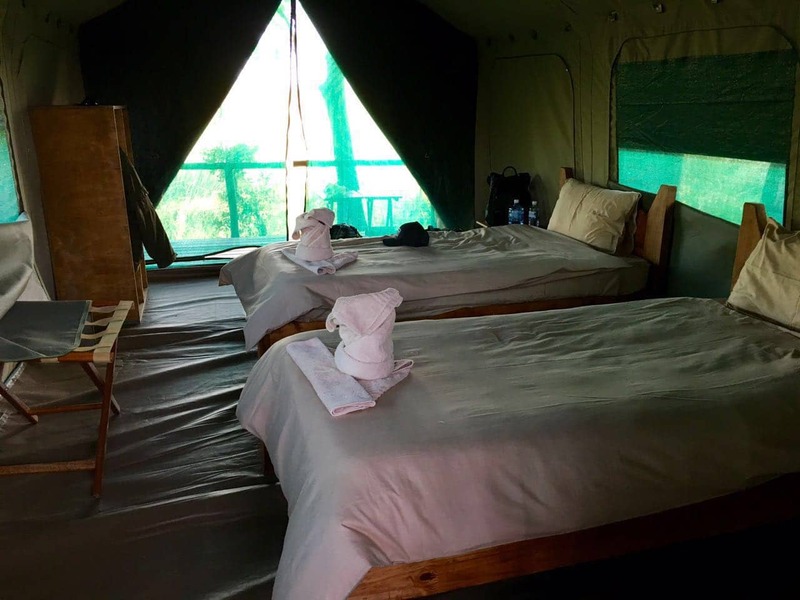 Pepere Island remains an affordable and authentic delta camp. 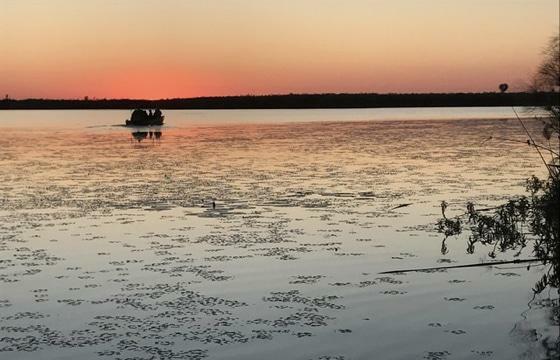 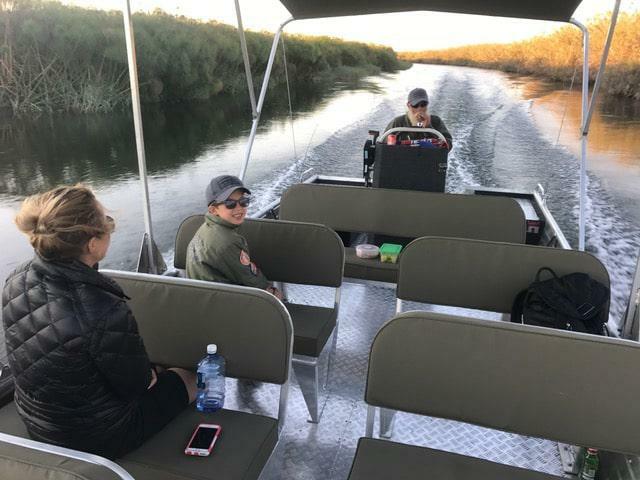 Swamp Stop is located right in the heart of the Filipo channels - guests can go upstream and enter the Filipo and then re-enter the main channel without crossing the same area twice. 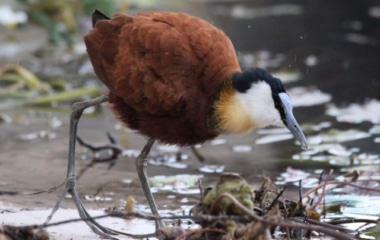 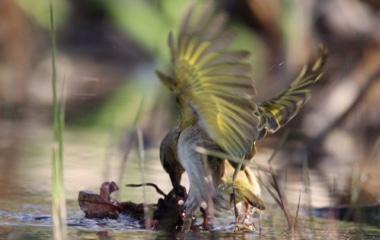 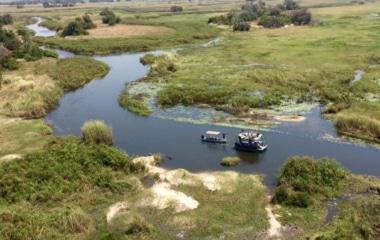 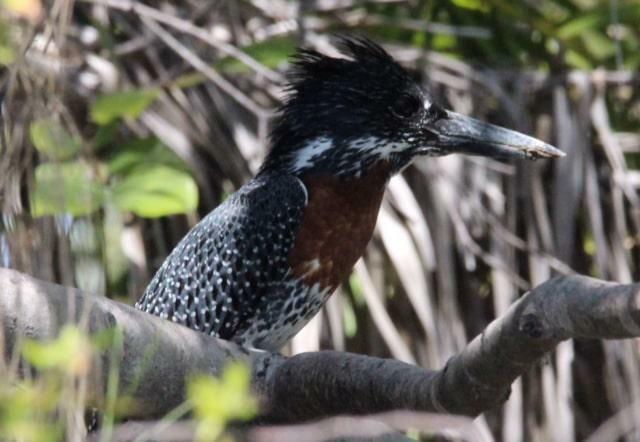 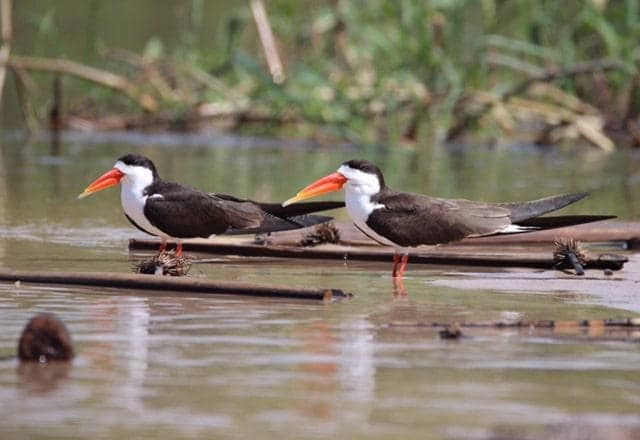 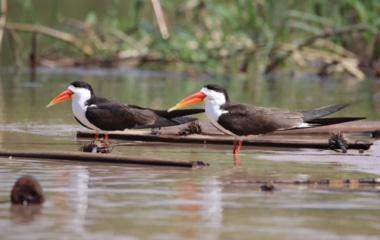 Exploring the bird rich floodplains by boat is an excellent way to see the Okavango. 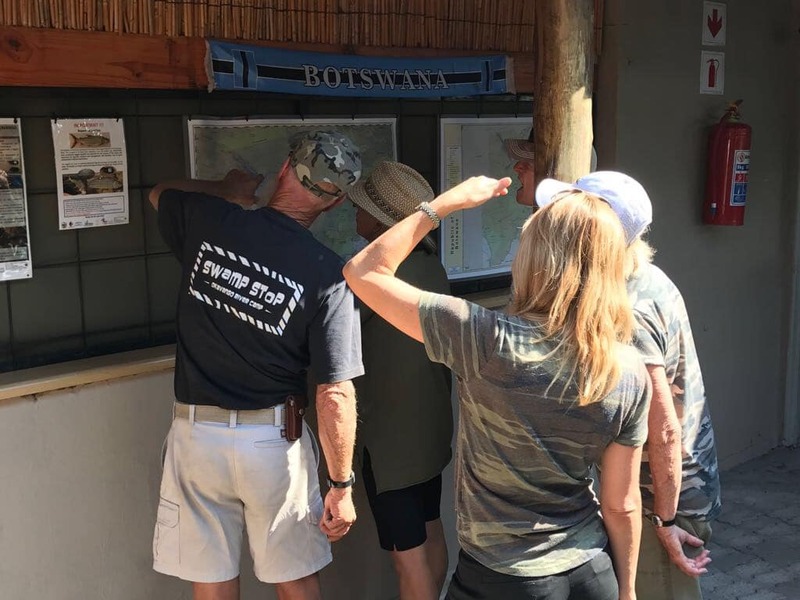 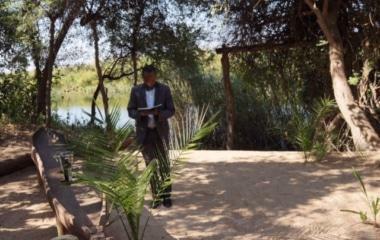 Guests can be led on a guided walking adventure into the Sepopa Village where guests can enjoy seeing Village life as appreciated by the community. 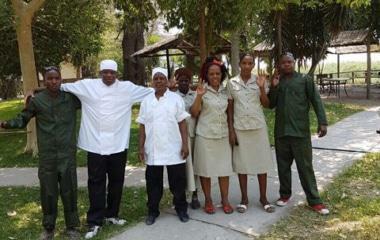 Visits include the local schools, post office, clinic, bakery, basket and mat weavers (in season). 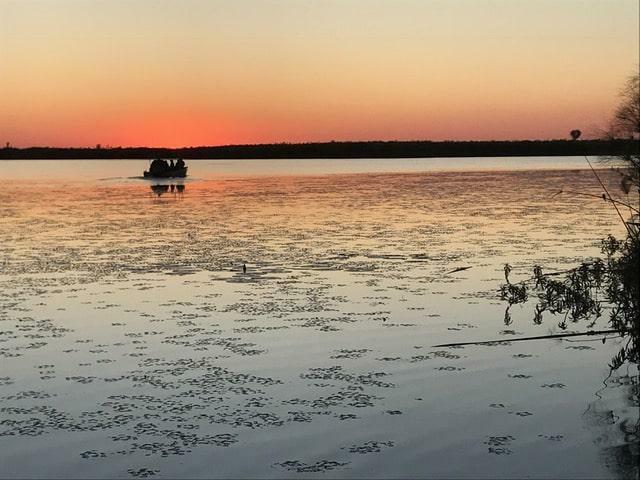 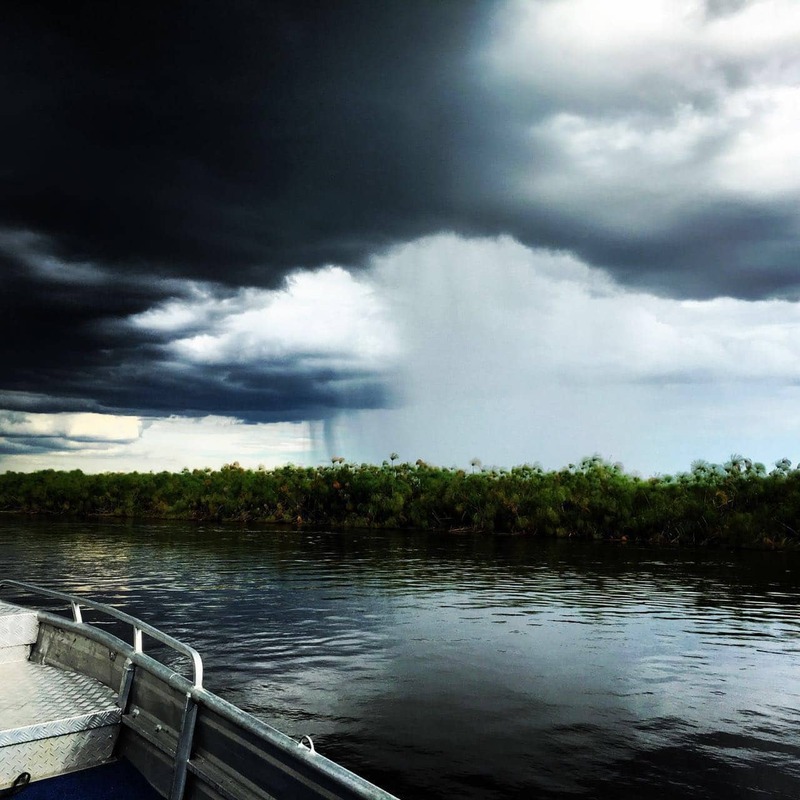 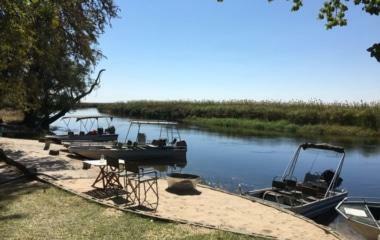 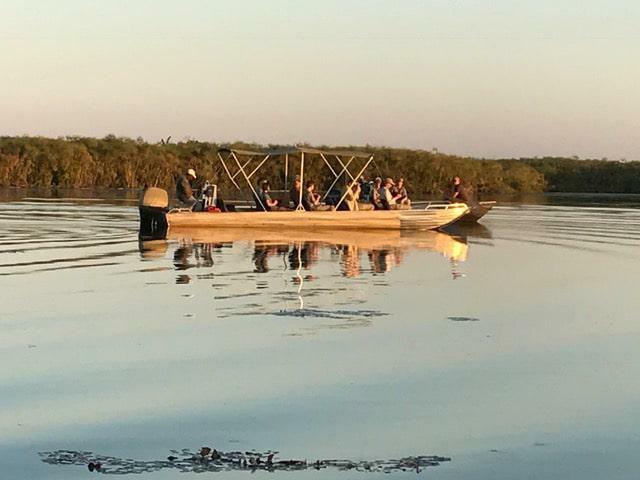 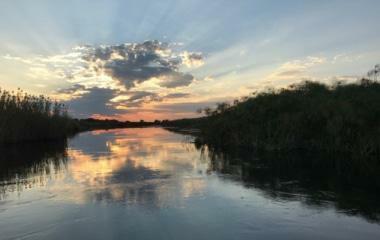 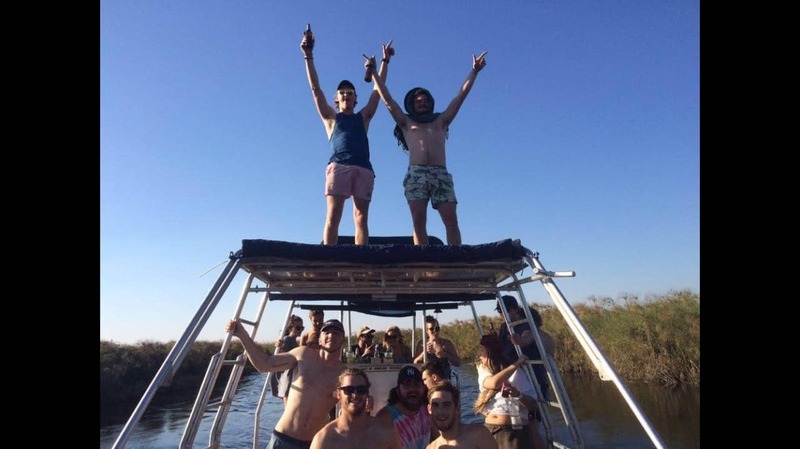 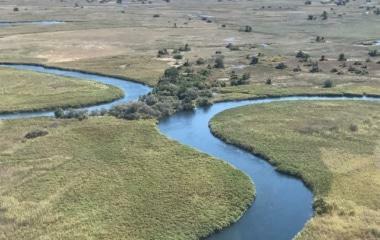 Guests can pre-book Trans Okavango Boat safaris from Swamp Stop deep into the delta and can go all the way to Maun or return. 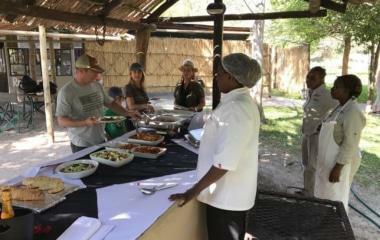 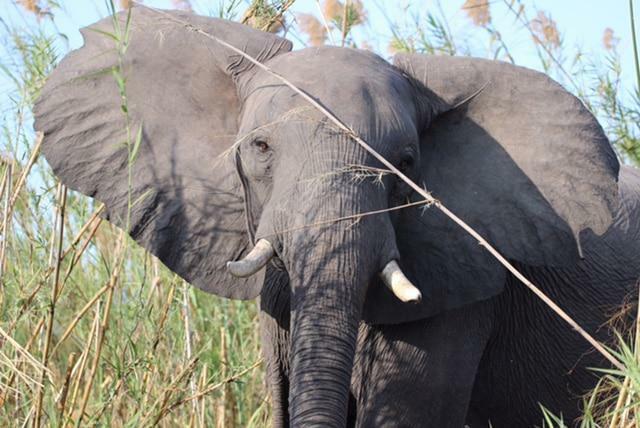 Guests are guided on a mobile adventure safari that includes meals, camping, and exploring the heart of the Okavango. 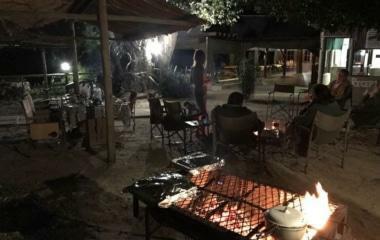 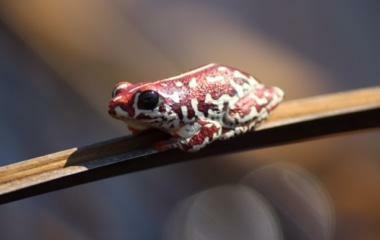 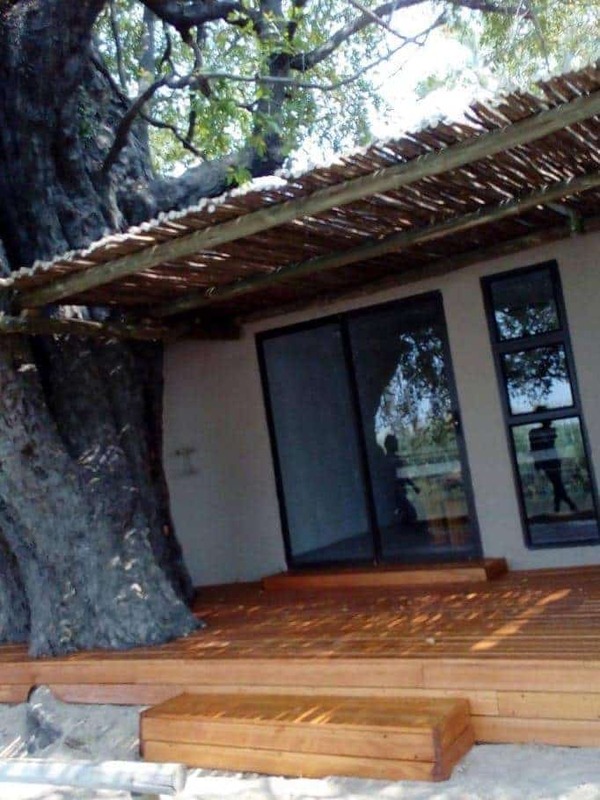 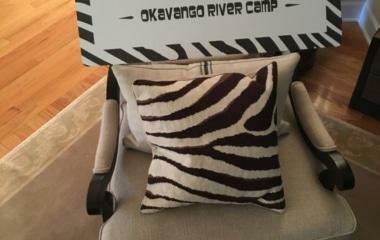 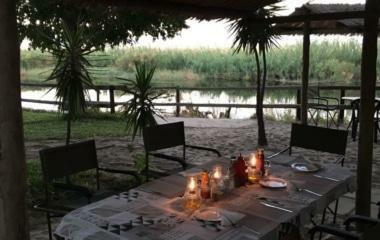 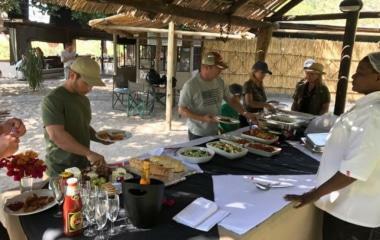 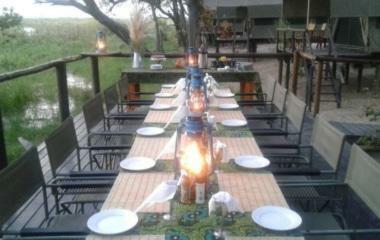 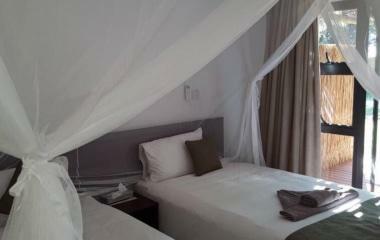 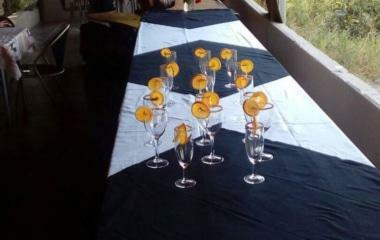 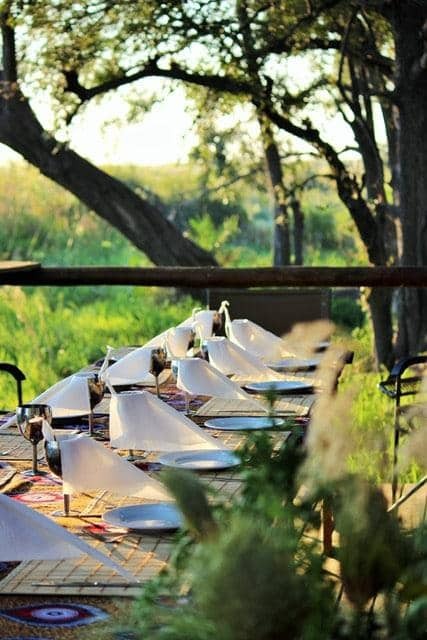 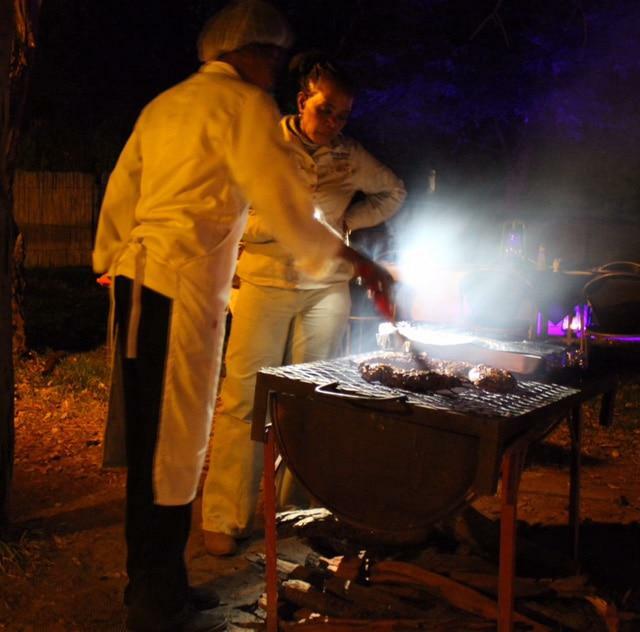 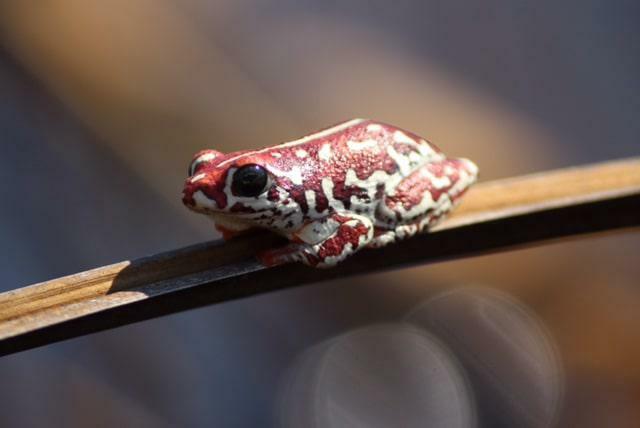 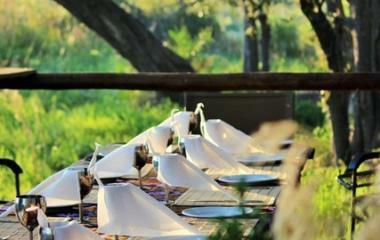 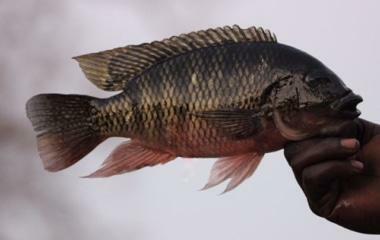 Guests need to book and plan well in advance as this is an Okavango Highlight. 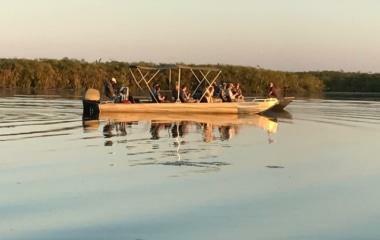 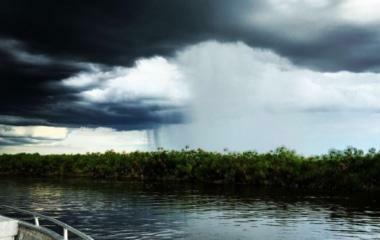 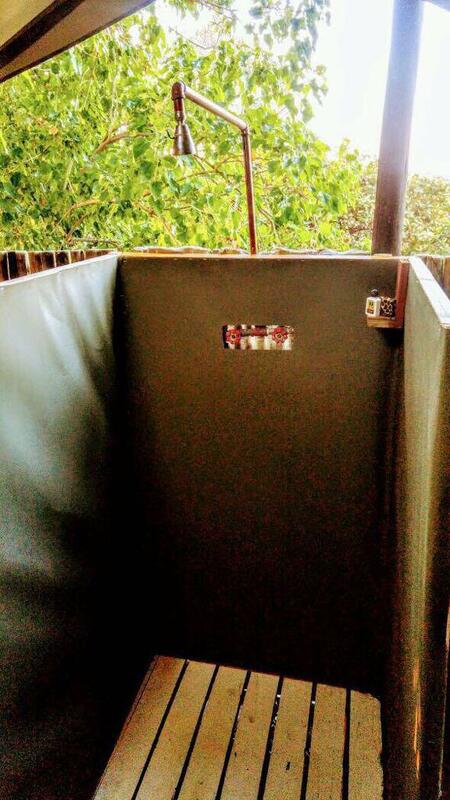 From Swamp Stop guests can arrange to explore the Delta by traditional dug-out or "makoro". 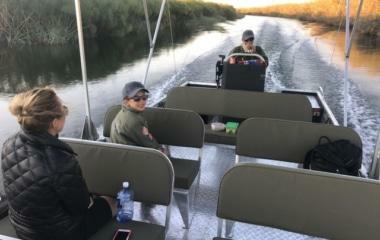 Guests will be taken by boat into the delta to the polling station. 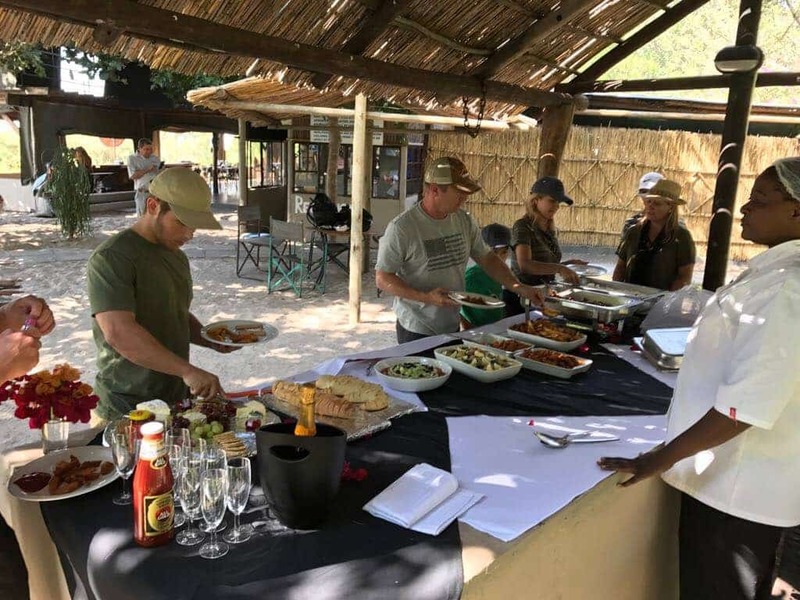 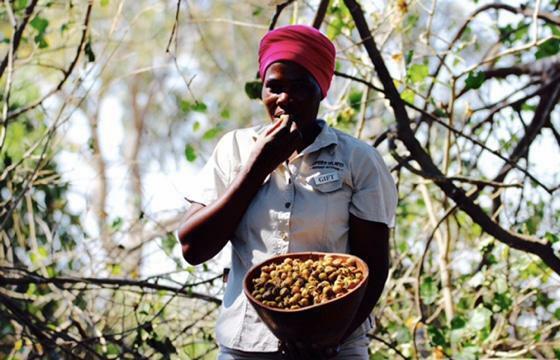 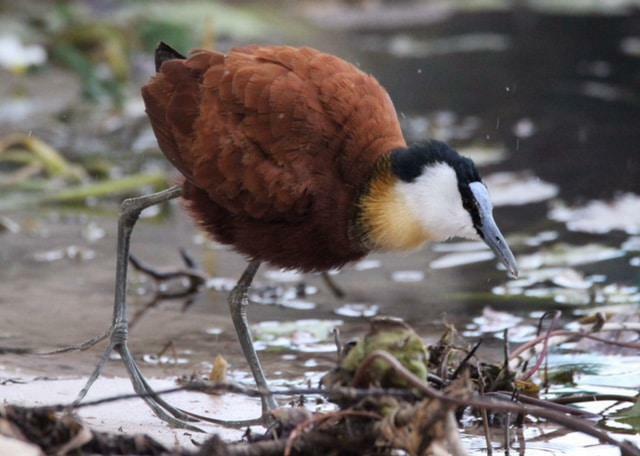 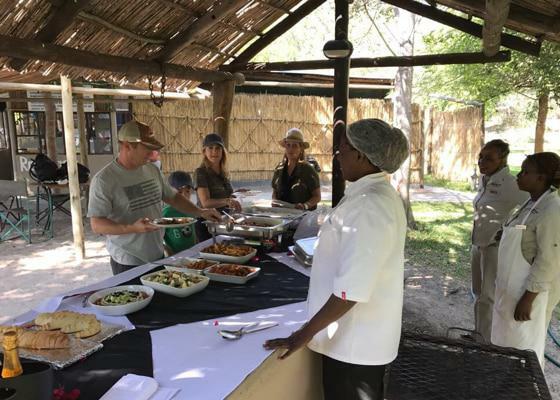 Packed lunch, island game walk and birding adventures can all be enjoyed during this outing which is an Okavango "must do"! 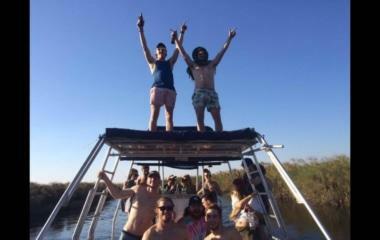 An adrenaline original, expert divers during the winter months, base at Swamp Stop to do crocodile diving. 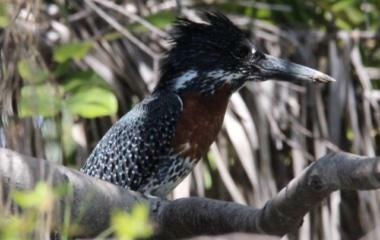 This experience needs to be planned in advance and is only available to expert divers. 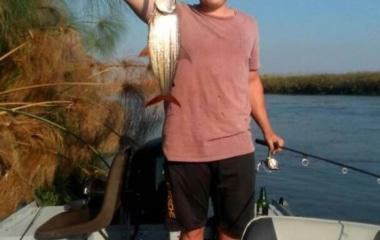 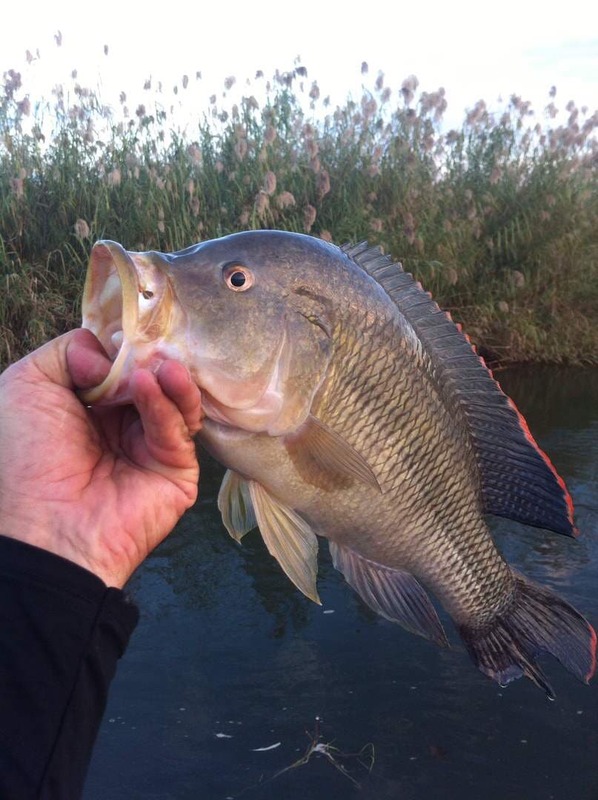 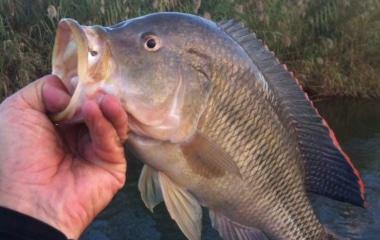 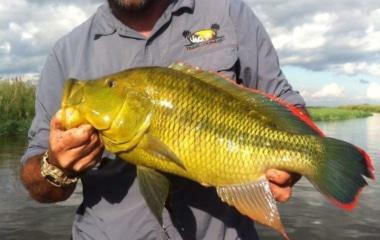 Swamp Stop offers some of the best seasonal tiger and team fishing in the Panhandle. 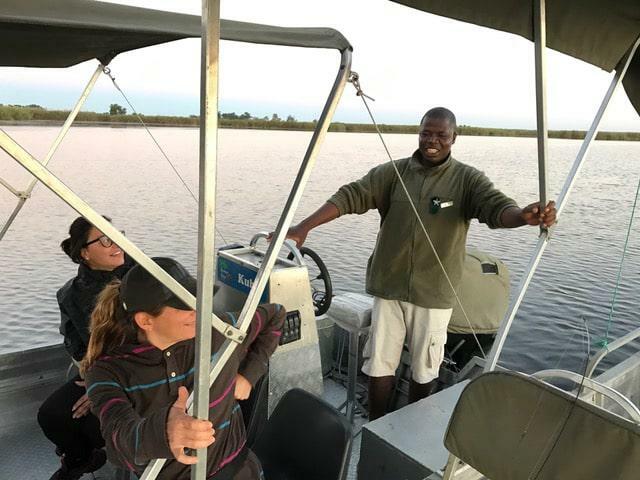 Guests can rent a guided boat by the hour, half day or full day and can include lunch, island walk and makoro experience. 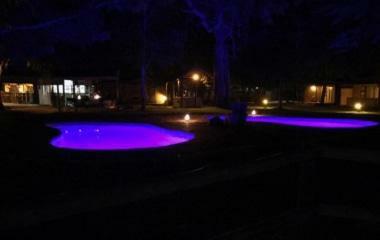 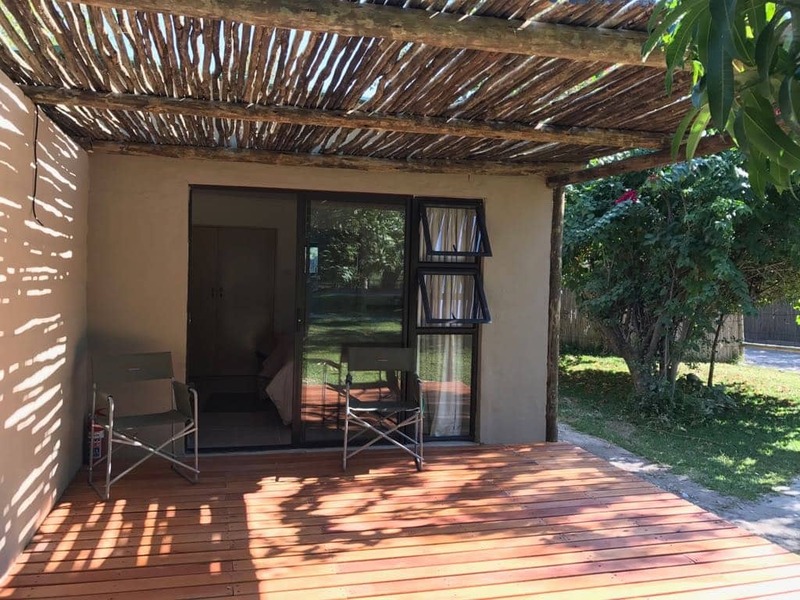 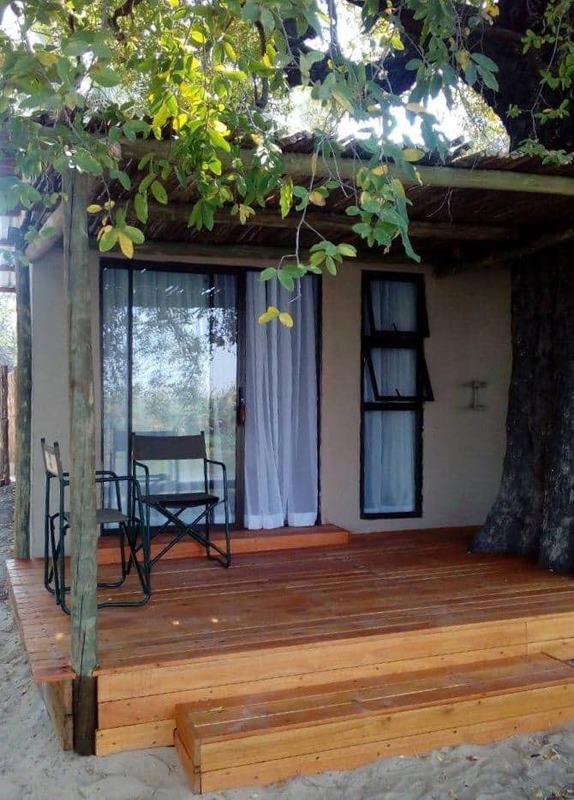 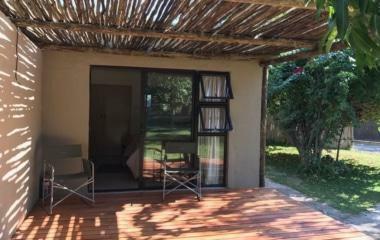 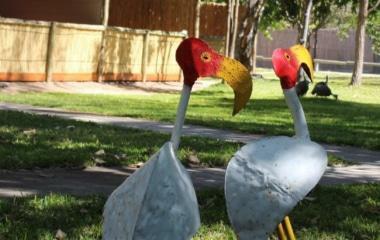 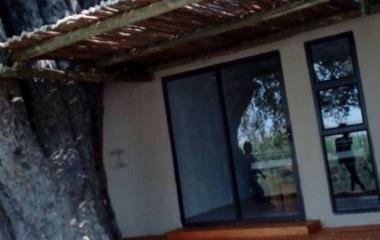 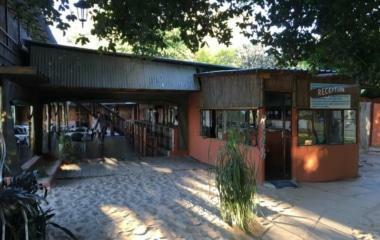 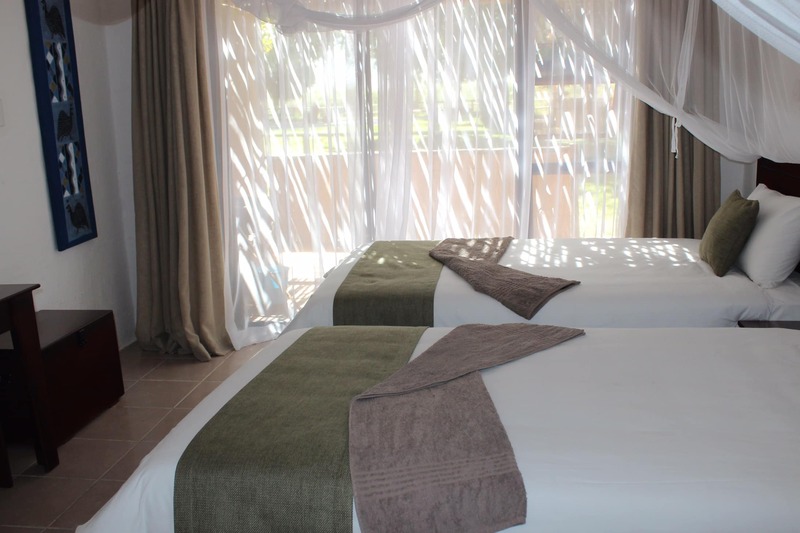 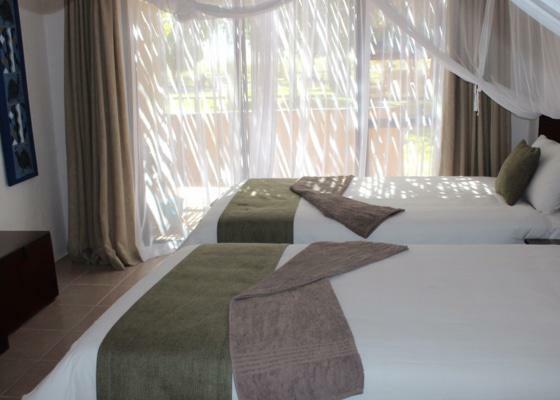 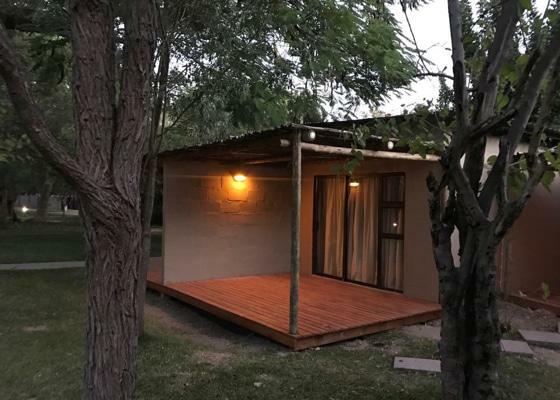 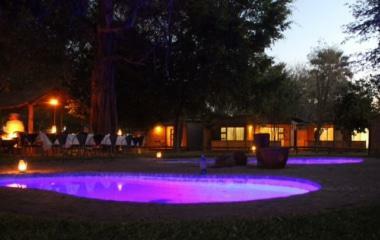 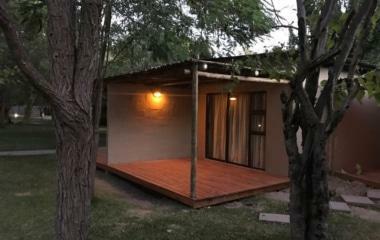 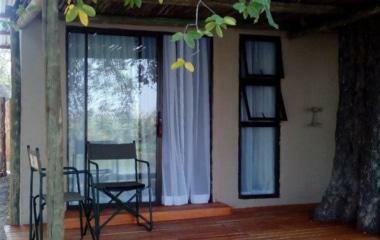 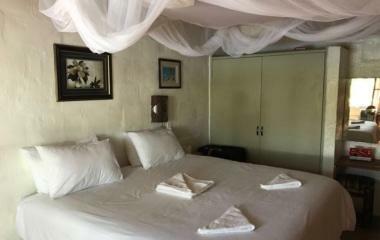 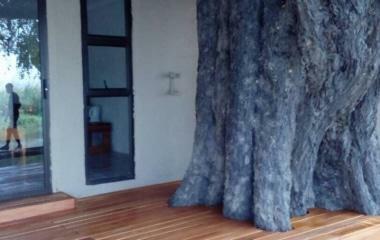 The Camp features 12 en-suite newly renovated rooms each with its own verandah, deck and mini bar. 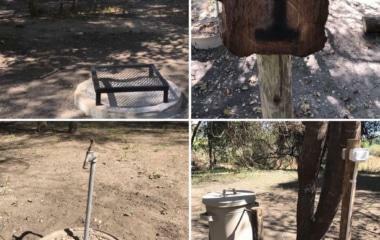 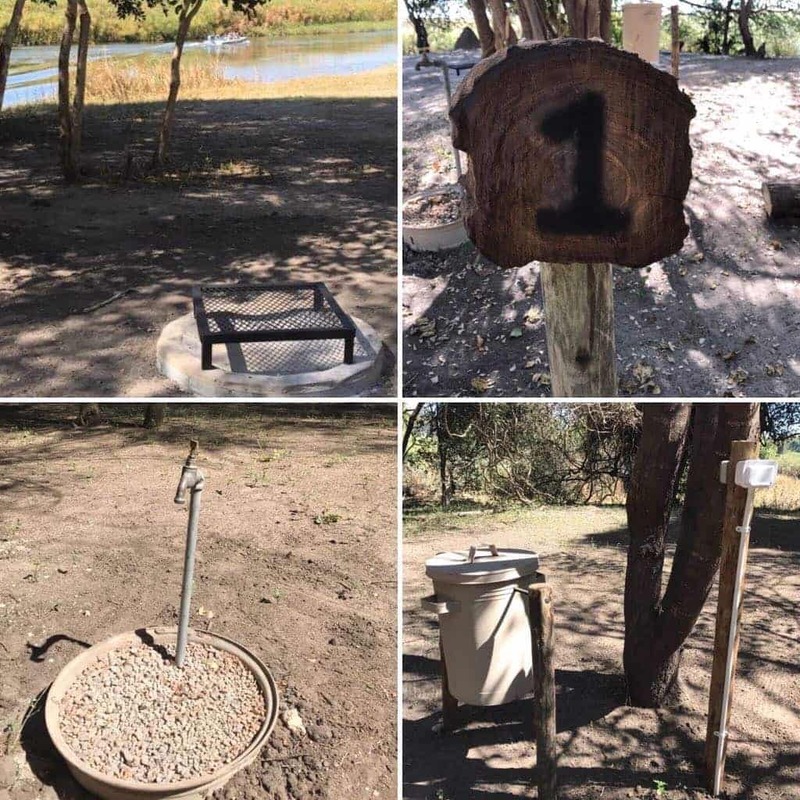 The camp also has a newly established camp site with 12 numbered and named sites, each with dedicated power, water, light, dustbin and fire pit facilities. 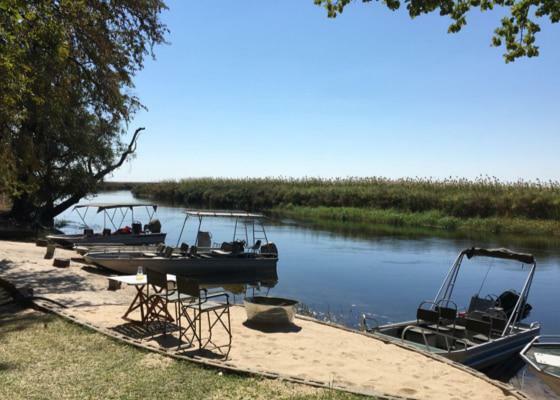 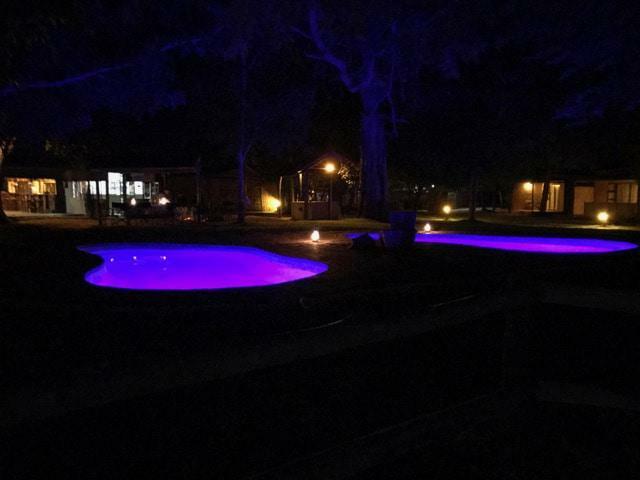 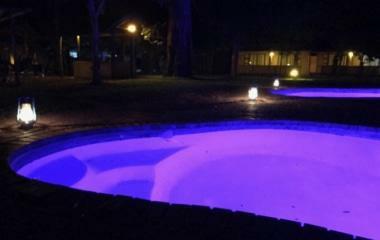 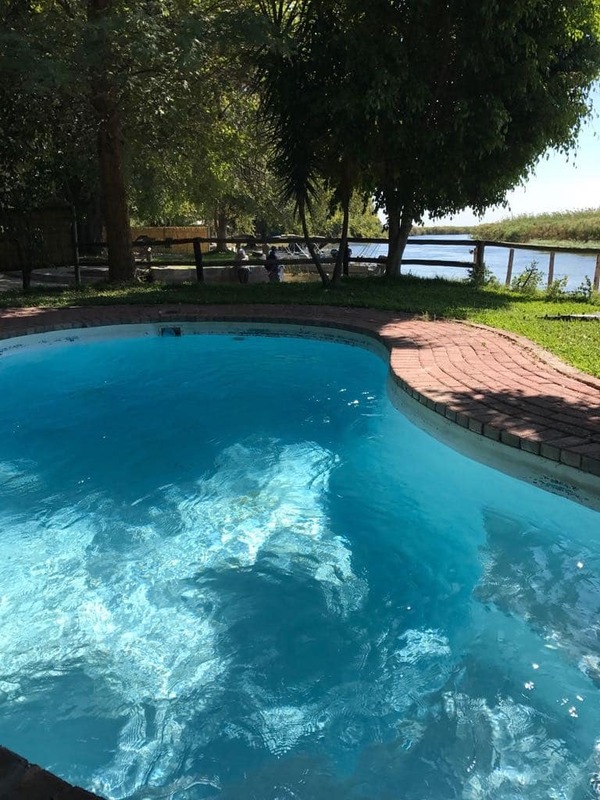 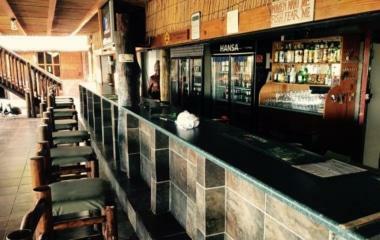 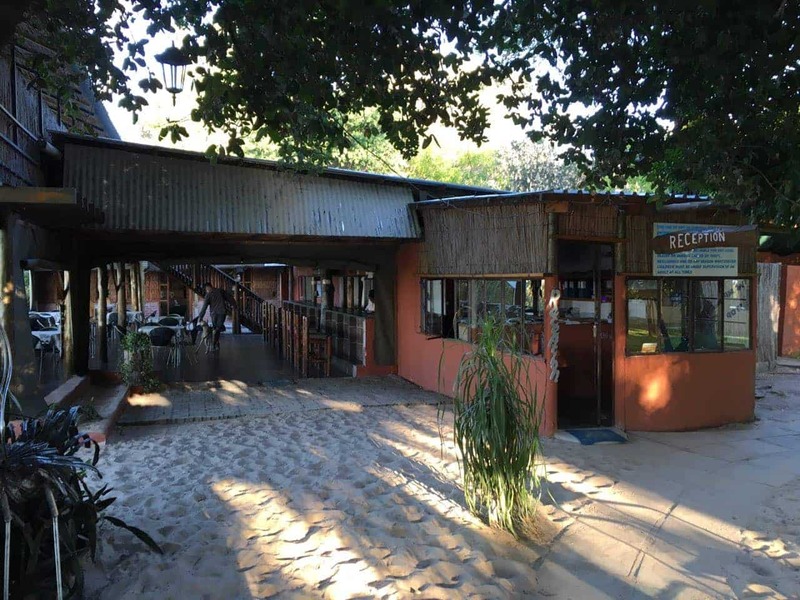 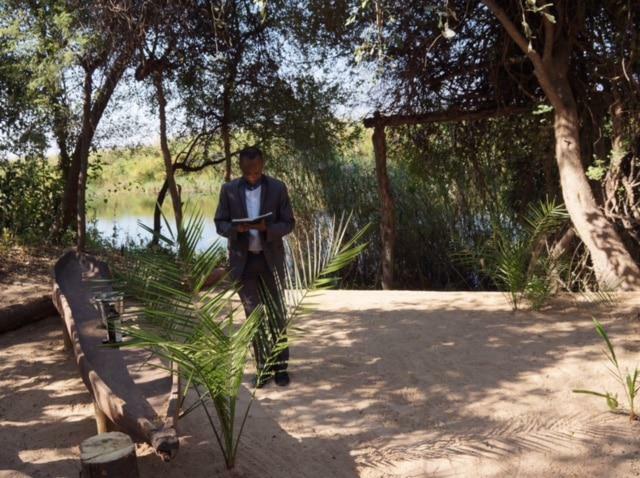 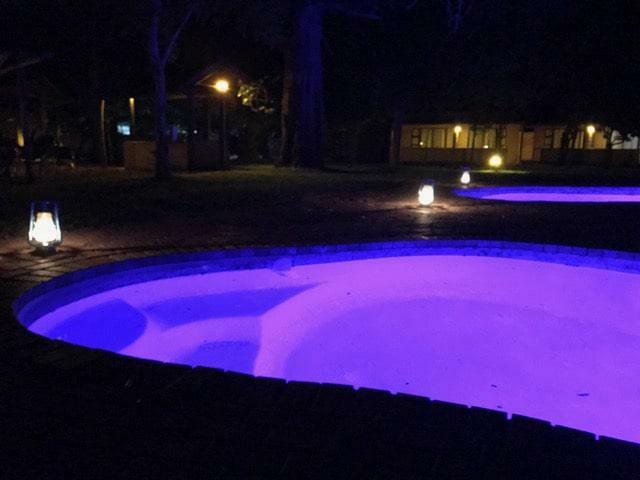 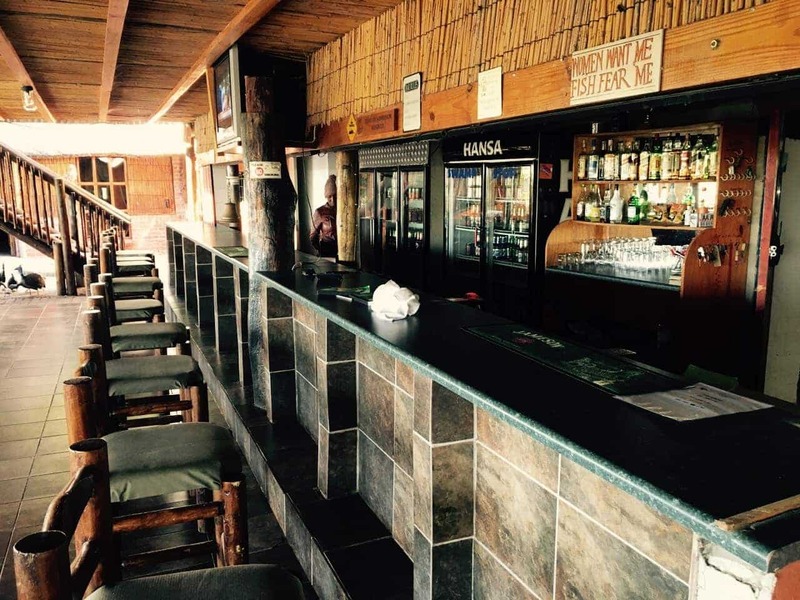 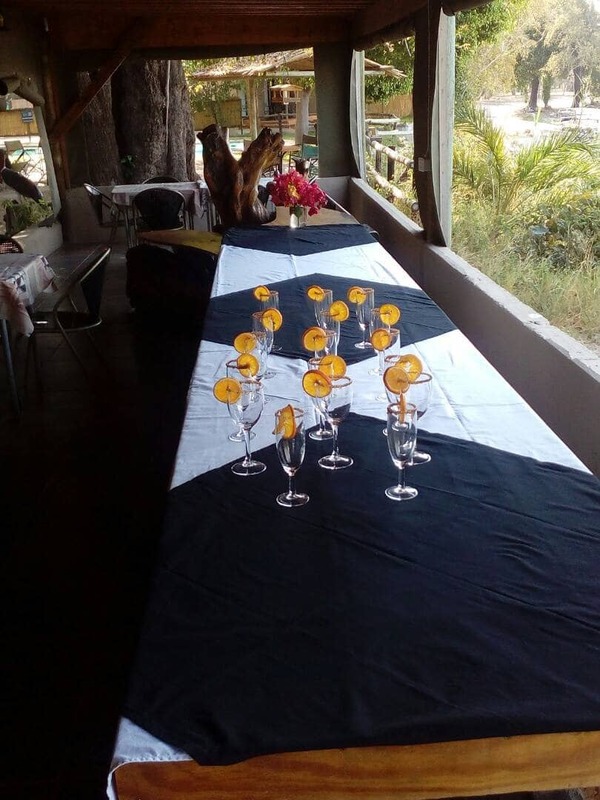 The camp has two swimming pools, a fully licensed bar, restaurant, a viewing deck and an elevated lounge over looking the Okavango River. 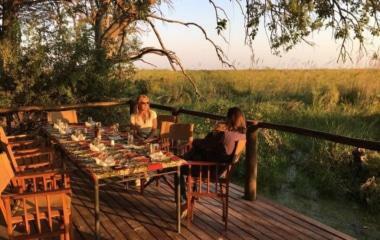 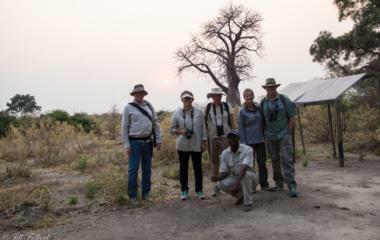 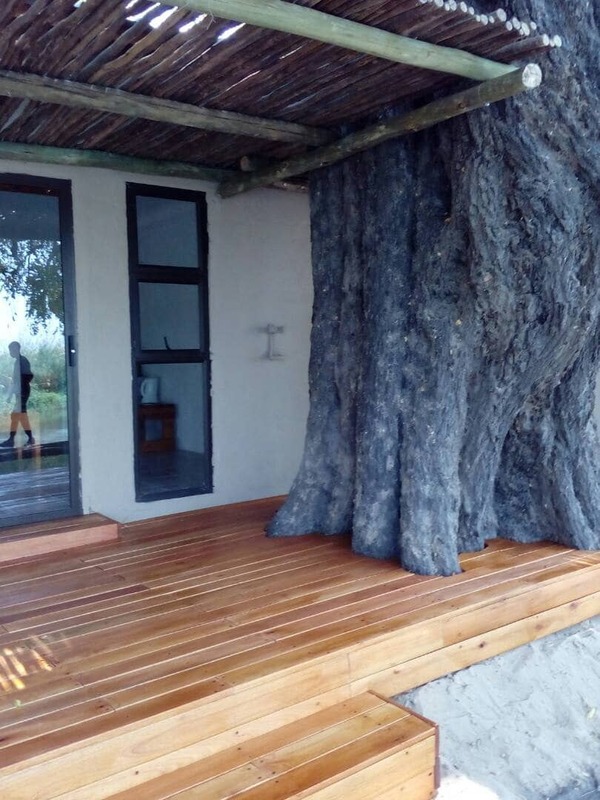 Swamp Stop is the ideal gateway to the Okavango Delta. 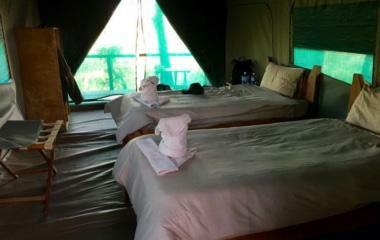 Guests can also book and stay at The Lodge at Pepere Island. 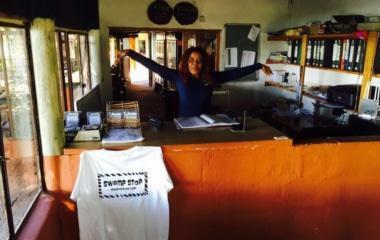 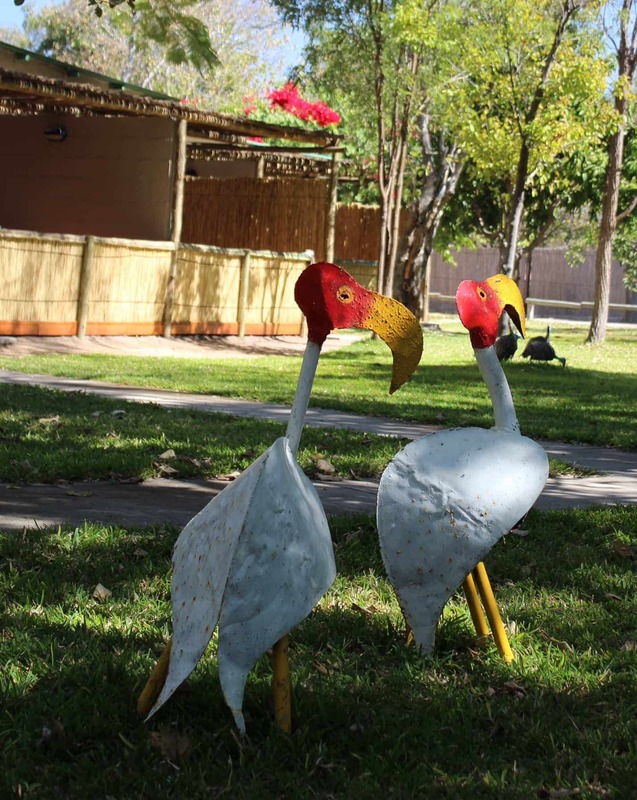 Swamp Stop is an Eco-friendly camp and committed to giving back to the community through various programs. 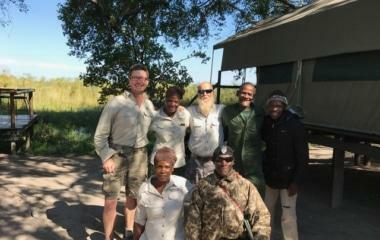 We support the Thlokomela Trust, Rhinos Without Borders, Rhino Conservation Botswana and the Endangered Species Center. 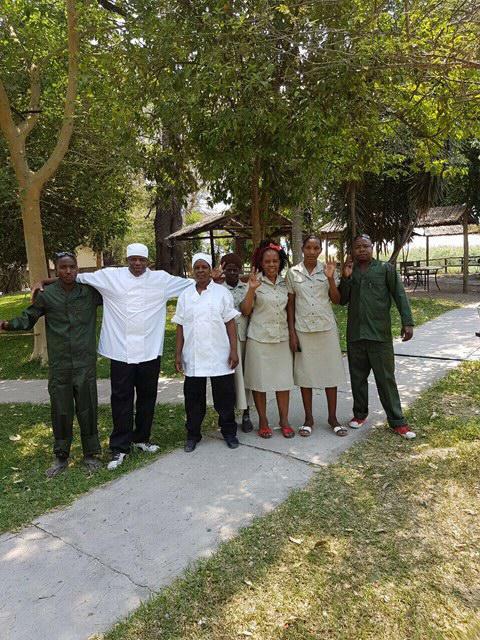 We are a proud member of Hotel and Tourism Association of Botswana. 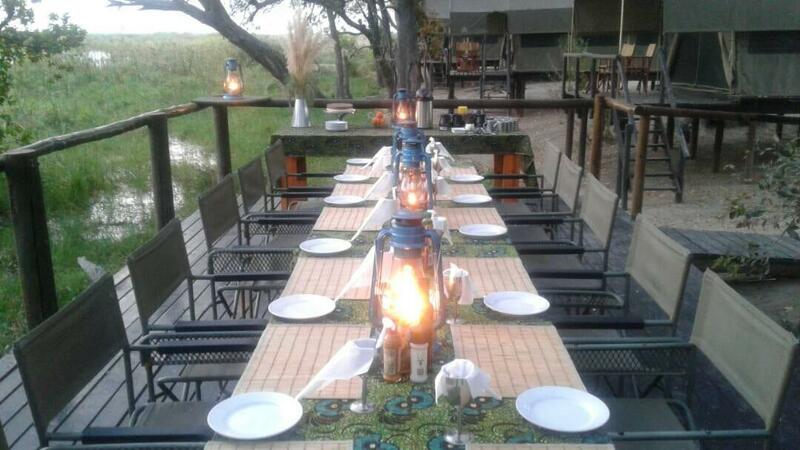 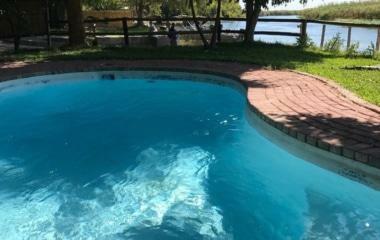 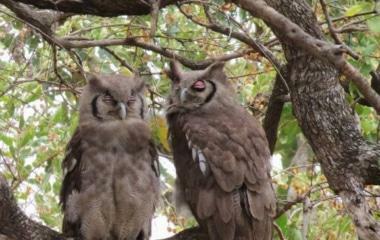 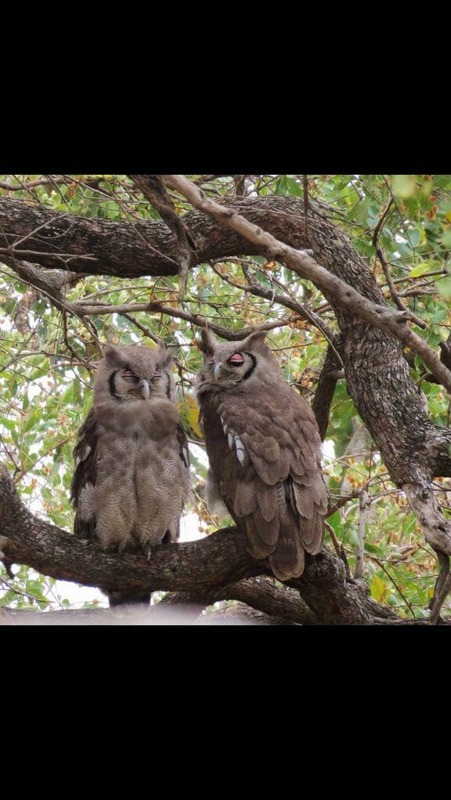 Guests can self drive from either Maun, which is 350 kms to the South, or from Namibia, which is 50 kms to the North. 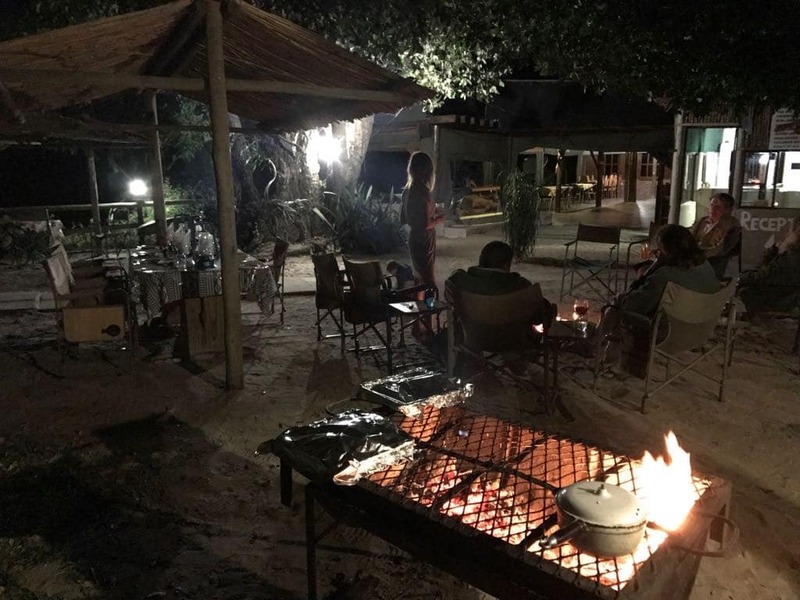 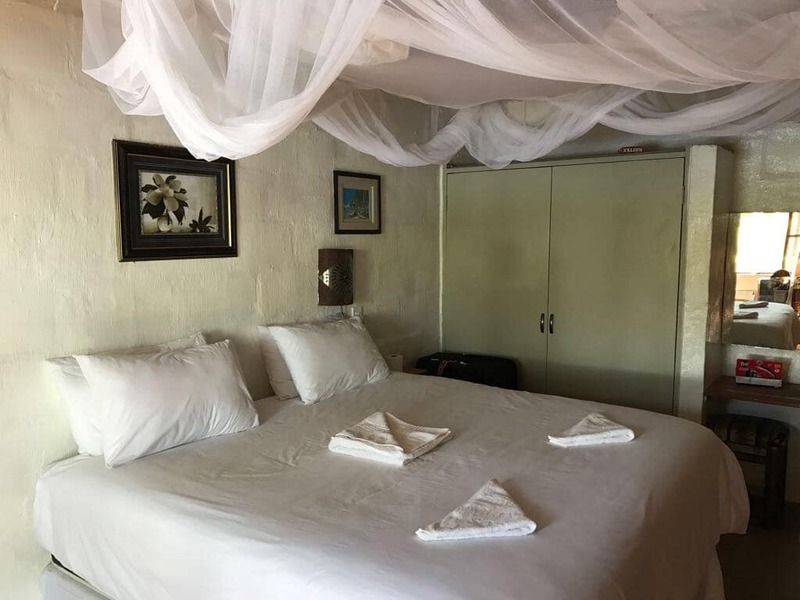 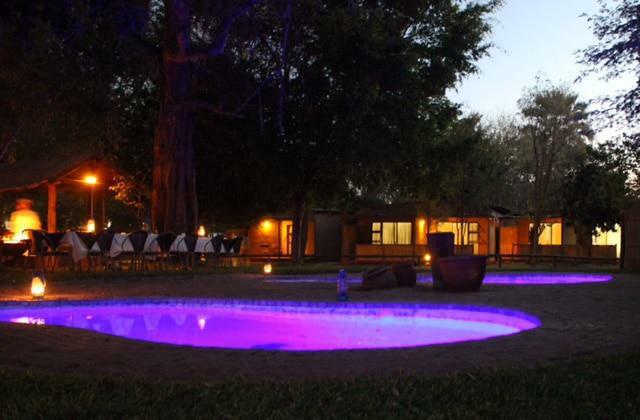 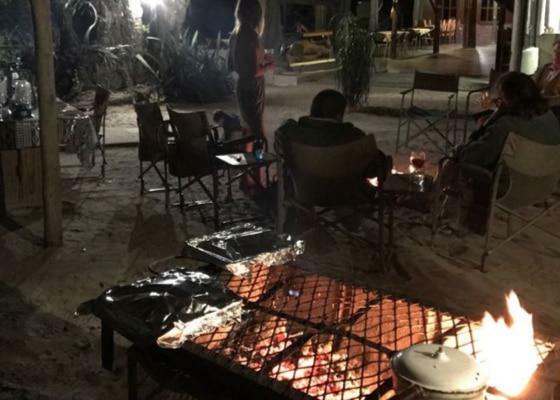 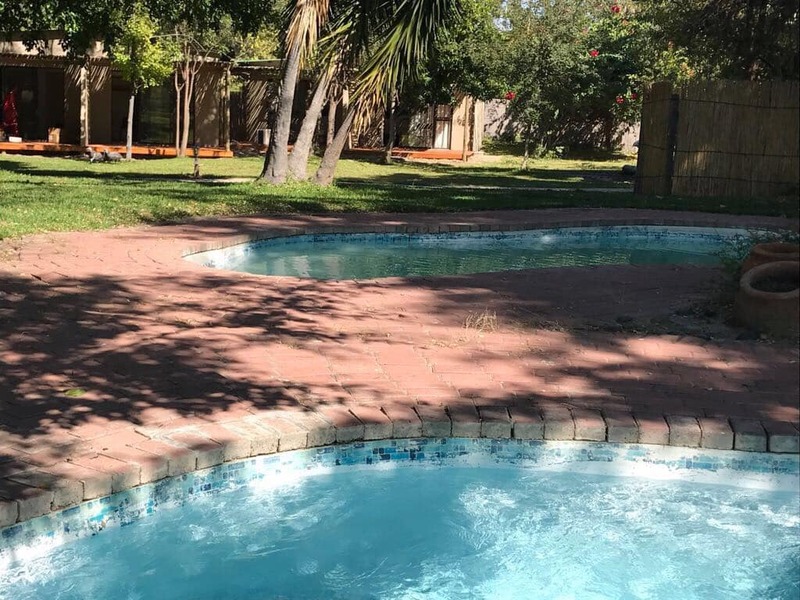 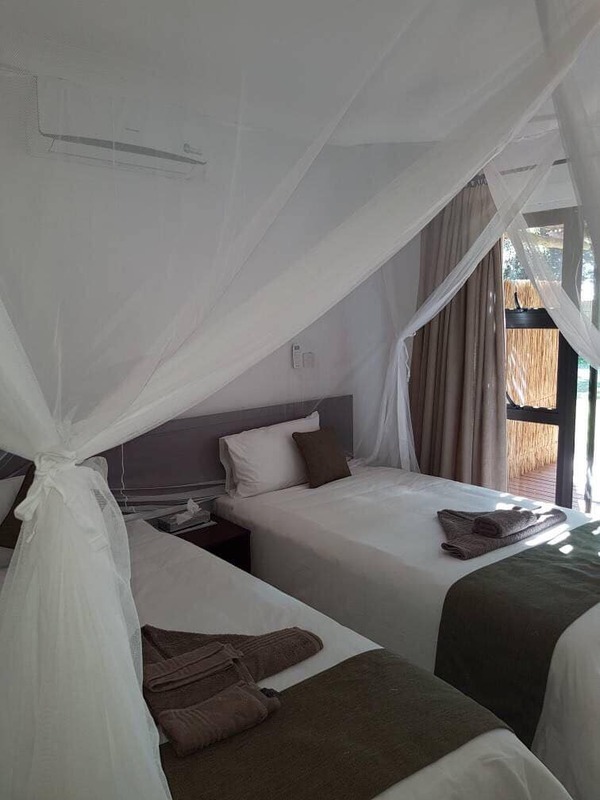 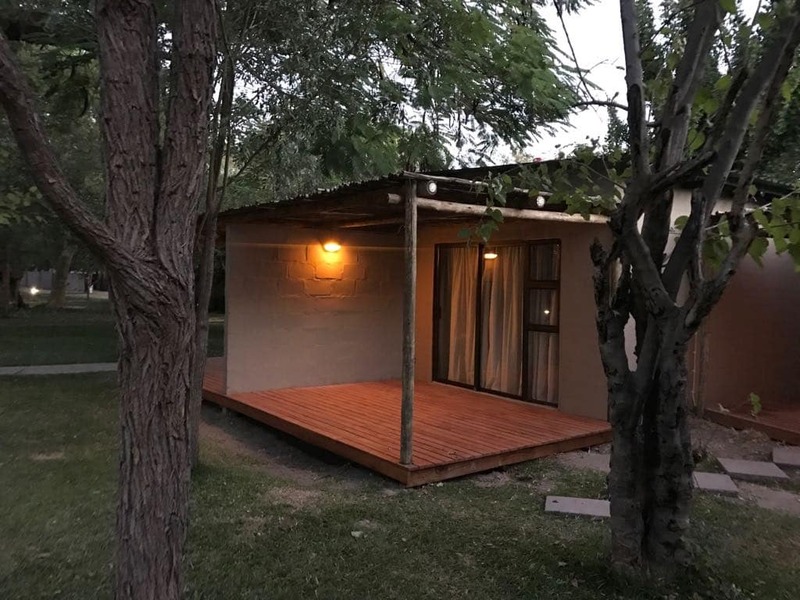 Strategically located on the Cape Town to Victoria Falls route, the camp is a favorite destination for self drive enthusiasts seeking to explore wild Africa at an affordable price. 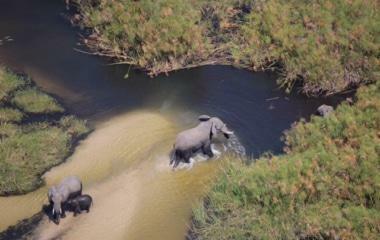 Guests can also fly into Seronga which is 1 hour by boat and we will arrange a River Transfer to camp. 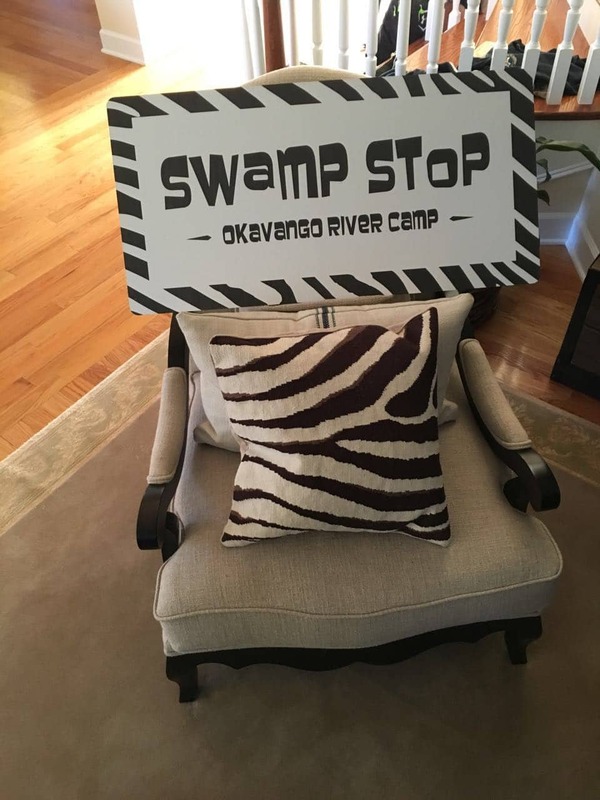 © 2019 Swamp Stop All Rights Reserved | LSX is a WordPress theme developed by LightSpeed.